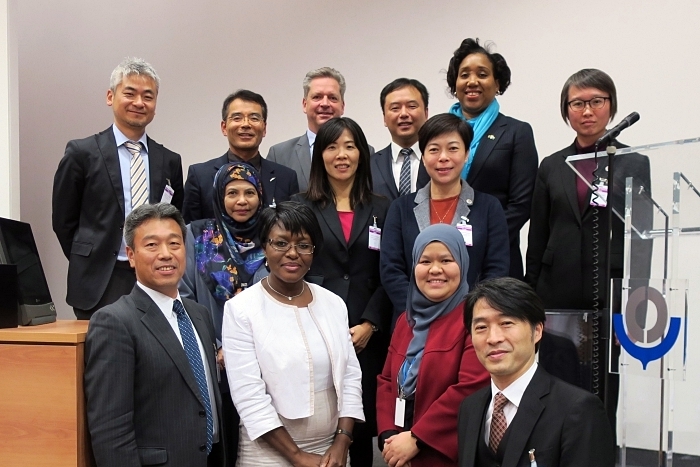 The WCO, in cooperation with the ROCB A/P and Japan Customs, organized the WCO A/P Regional Workshop on Training Management on 4-8 March 2019 at the WCO Regional Training Center in Japan, i.e. 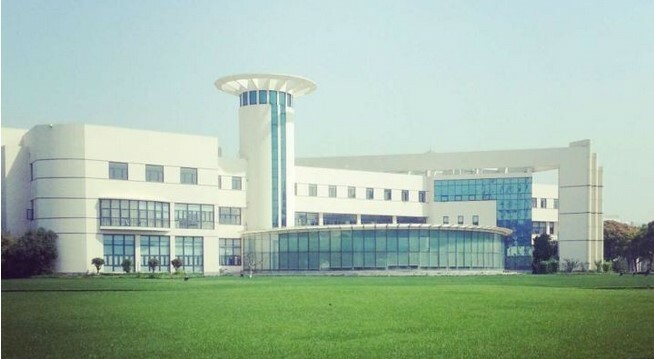 Japan Customs Training Institute (CTI) in Kashiwa, Japan, under the sponsorship of the Japan Customs Cooperation Fund (CCF/Japan). 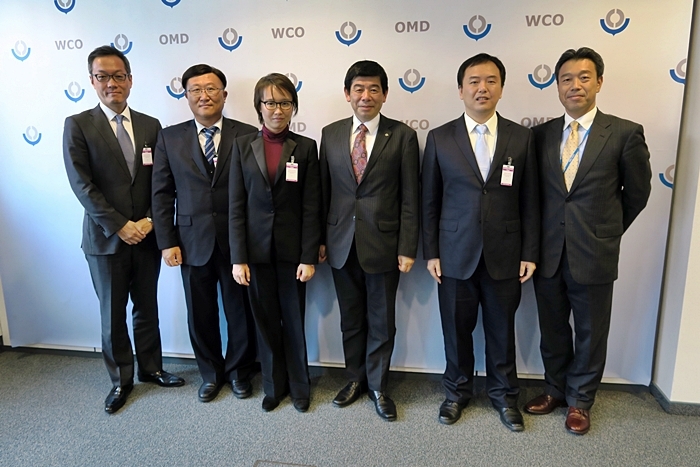 Mr. Kazunari Igarashi, Head of the ROCB A/P, accompanied Dr. Kunio Mikuriya, WCO Secretary General, for his visit to Hong Kong, China, on 27 February – 1 March 2019 for an informal policy dialogue with Hong Kong Customs Service executives. 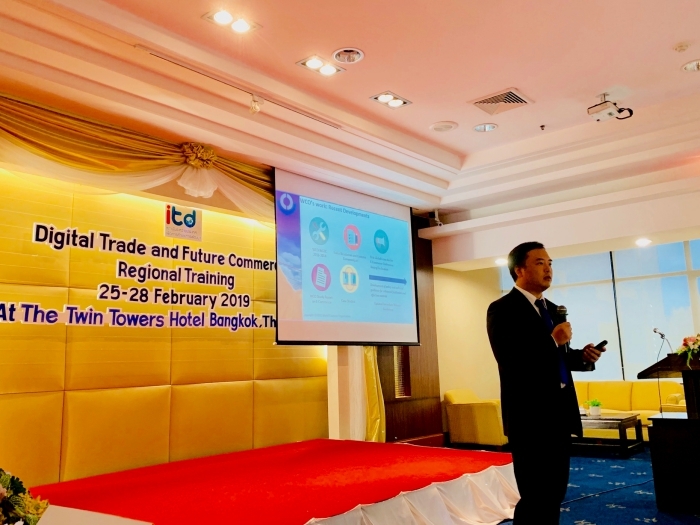 At the invitation of the International Institute for Trade and Development (ITD, Thailand), Dr. Tong hua, Program manager of the ROCB A/P, participated in the ITD Regional Workshop on Digital Trade and Future Commerce held on 25-28 February 2019 in Bangkok, Thailand, as a guest speaker. 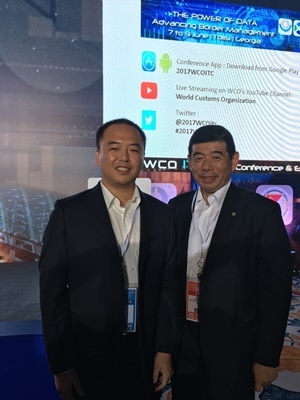 Mr. Kazunari Igarashi, Head of the ROCB A/P, accompanied Dr. Kunio Mikuriya, WCO Secretary General, for his visit to Macao, China, on 26-27 February 2019 for an informal policy dialogue with Macao Customs Service executives. 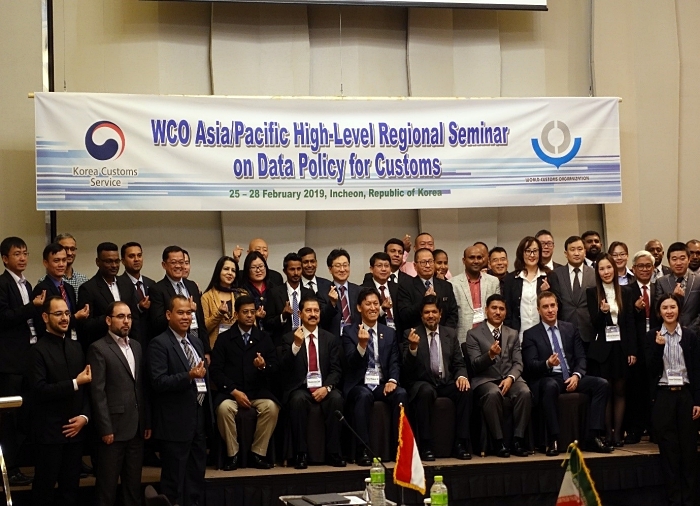 The WCO organized the WCO A/P High-Level Regional Seminar on Data Analytics for Customs on 25-28 February 2019 in Incheon, Korea, in cooperation with the ROCB A/P and the Korea Customs Service under the financial support of Customs Cooperation Fund of Korea (CCF/Korea) to support the WCO Members’ application of data analytics to their current risk management practices and provide some food-for-thought for their effective use of open source data and tools for data visualization. 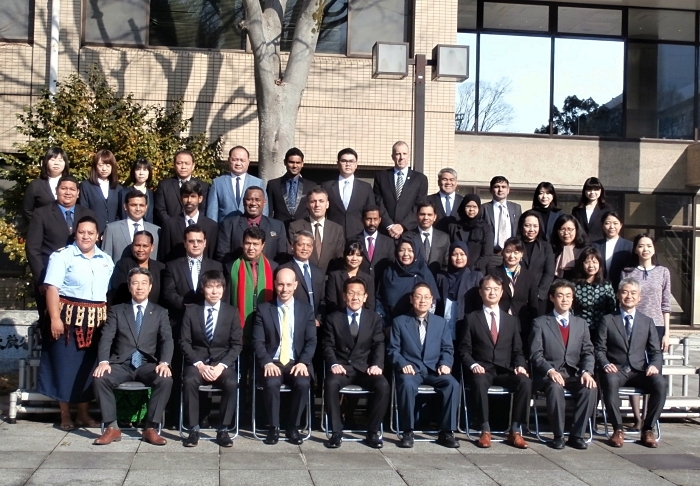 The WCO, in cooperation with the ROCB A/P and the Japan Customs, organized the A/P Regional Workshop on Anti-Money Laundering and Terrorism Financing on 21-25 January 2019 at the Japan Customs Training Institute in Kashiwa, Japan, under the financial support of the Japan Customs Cooperation Fund (CCF/Japan). 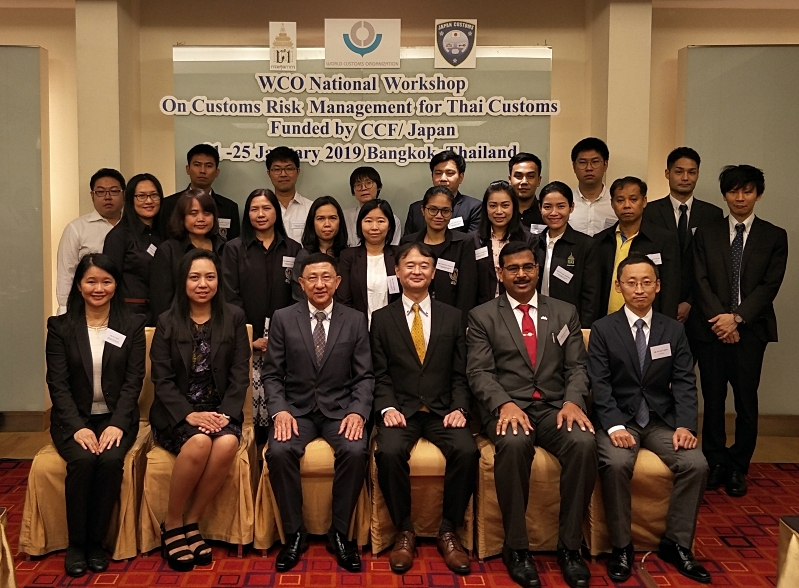 The WCO organized the National Workshop on Risk Management on 21-25 January 2019 in Bangkok, Thailand, under the sponsorship of the Japan Customs Cooperation Fund (CCF/Japan). 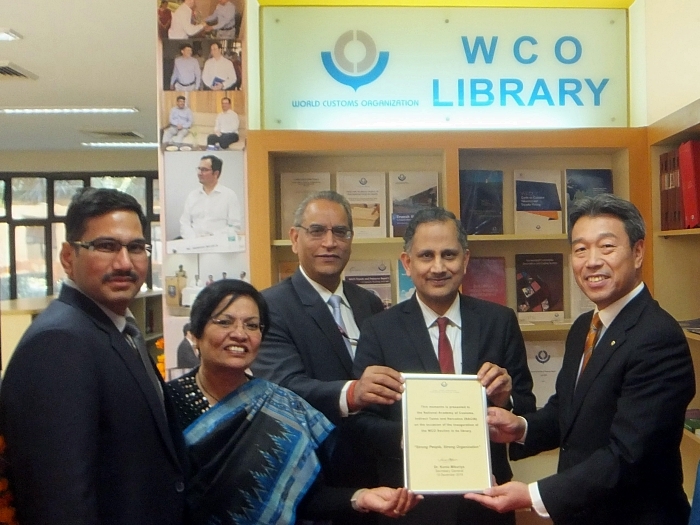 At the invitation of Director General of the National Academy of Customs, Indirect Tax and Narcotics (NACIN) of India, Mr. Kazunari Igarashi, Head of the ROCB A/P, attended the inauguration ceremony of the WCO Section at the NACIN Library on 19 December 2018. 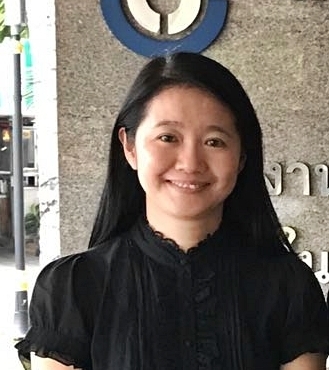 As an initiative of Thai Customs, the Workshop on Trade Facilitation Agreement and Intellectual Property Rights (IPR) was held on 10 -14 December 2018 in Bangkok, Thailand, and Ms. Saori Nojima, Program Manager of the ROCB A/P, participated in the IPR-related sessions on 13 -14 December 2018 as a resource speaker. 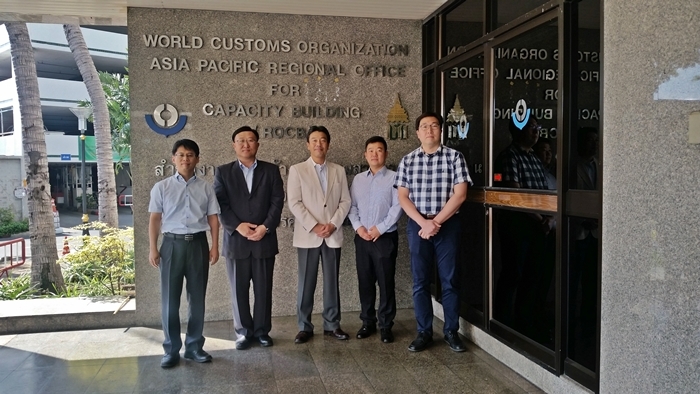 The WCO National Workshop for Cambodia Customs on Border Enforcement of Intellectual Property Rights (IPR) was held on 4-7 December 2018 in Phnom Penh, Cambodia, under the sponsorship of the Japan Customs Cooperation Fund (CCF/Japan) and in close cooperation and coordination with the Japan International Cooperation Agency (JICA). 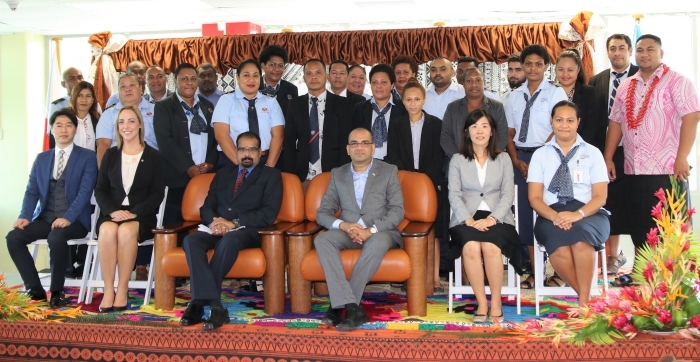 The WCO, in cooperation with the ROCB A/P and the Fiji Revenue and Customs Services (FRCS), organized the WCO Sub-regional Workshop on Customs Valuation on 3-7 December 2018 at the WCO Regional Training Center in Suva (FRCS Training Center) with sponsorship of the Japan Customs Cooperation Fund (CCF/Japan). 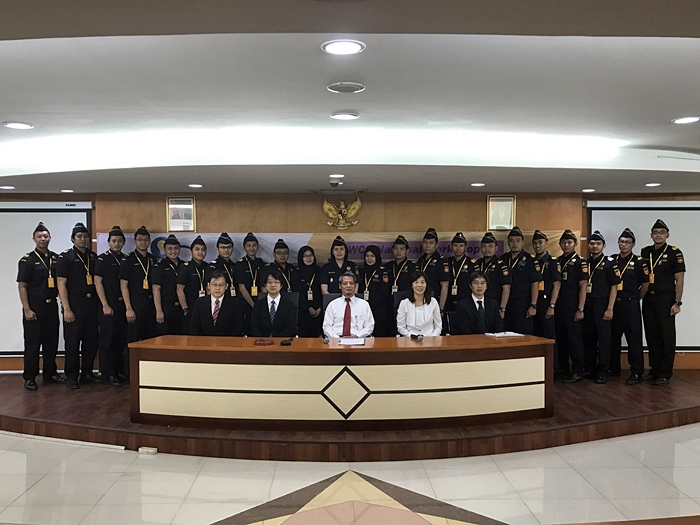 At the invitation from Director of the Indonesian Customs and Excise Education and Training Center (Pusdiklat BC), Mr. Kazunari Igarashi, Head of the ROCB A/P, attended the ASEAN Seminar on Customs Human Resource Development, held on 29 November 2018 at the Education and Training Center under the initiatives of the Indonesian Customs as coordinator for Customs capacity building within the ASEAN framework. 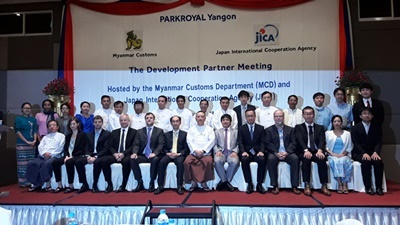 The WCO National Workshop for Myanmar Customs on border enforcement of intellectual property rights (IPR) was held on 26-30 November 2018 in Yangon, Myanmar, under the sponsorship of Japan Customs Cooperation Fund (CCF/Japan). 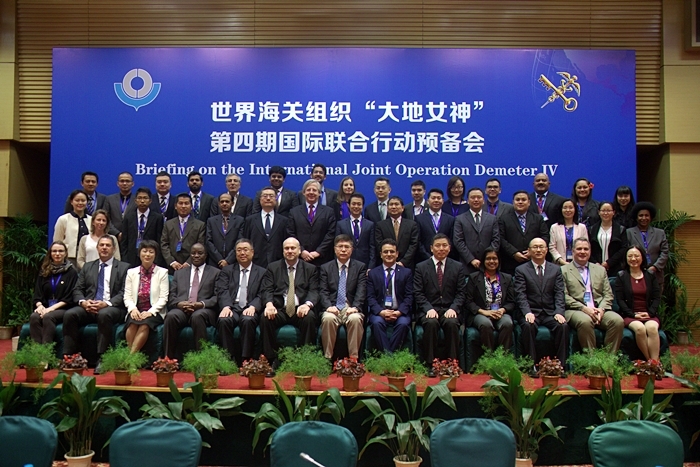 The WCO, in cooperation with the ROCB A/P and the General Administration of China Customs (GACC), organized the WCO Regional Workshop on Combating Environmental Crime and the Debriefing of the WCO Operation “Demeter IV” on 20-23 November 2018 in Shanghai, China, with financial sponsorship of Customs Cooperation Fund of China (CCF/China). 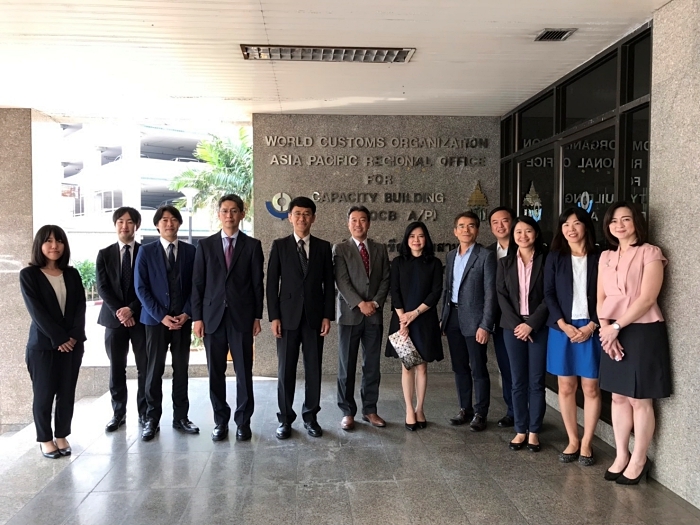 The WCO organized 5-day National Workshop on Customs Valuation and Transfer Pricing ion Bangkok, Thailand, under the sponsorship of the Japan Customs Cooperation Fund (CCF/Japan), in which 15 English-speaking Thai Customs representatives participated. 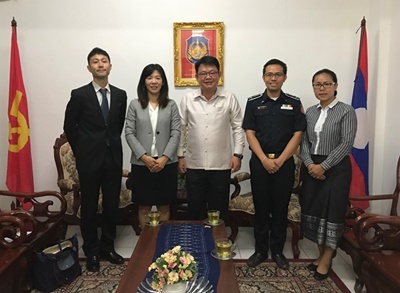 The WCO National Workshop for Lao Customs on border enforcement of intellectual property rights (IPR) was held on 12-16 November 2018 in Vientiane, Laos, under the sponsorship of Japan Customs Cooperation Fund (CCF/Japan). 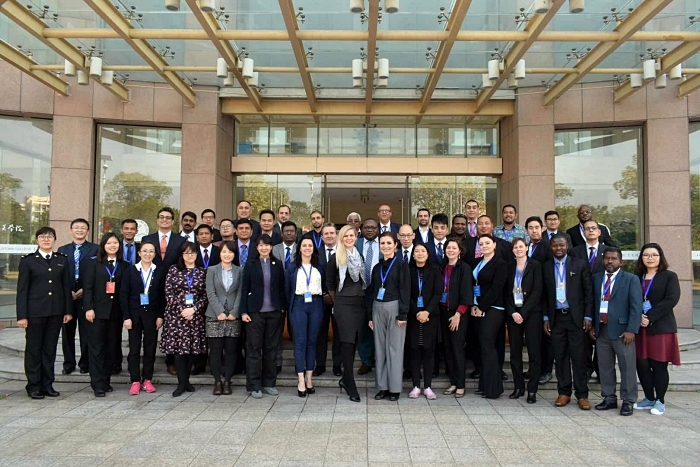 The WCO and the UNESCAP organized the 4th UNNExT MASTERCLASS: License, Permits, Certificates and Other regulatory requirements (e-LPCO) in a Single Window Environment from 5 November to 14 November 2018 in the Customs Border Control Training Institute (CBCTI) in Cheon An, Korea, in cooperation with the ROCB A/P and the Korea Customs Service under the financial support of Customs Cooperation Fund of Korea (CCF/Korea) to support the WCO Members’ commitment to the implementation of the WTO Trade Facilitation Agreement (TFA) and effective use of information and communications technology in the introduction of the National Single Window environment in the A/P region. 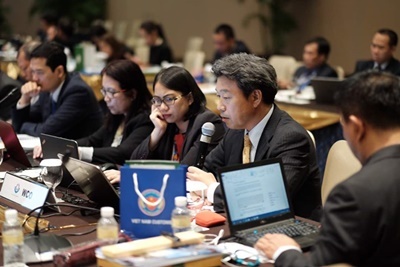 At the request from the WCO Secretariat, Mr. Kazunari Igarashi, Head of the ROCB A/P, participated in the Asian Development Bank (ADB) Inter-Subregional Forum on Enhanced Implementation of the WTO Trade Facilitation Agreement (TFA) held on 30-31 October 2018 in Bangkok, Thailand, as a resource speaker, along with Ms. Milena Budimirovic of the WCO Secretariat. 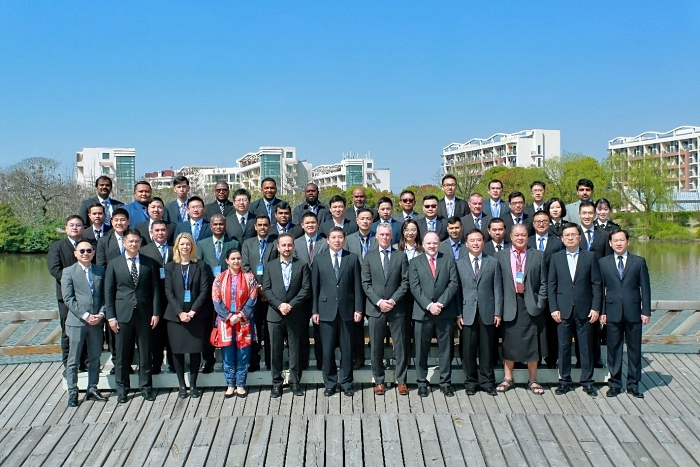 The ROCB A/P convened 16th Meeting of the Heads of the WCO A/P Regional Training Center (RTC) at the Shanghai Customs College (SCC) on 24-25 October 2018 and 27 delegates from 8 RTCs as well as the WCO Secretariat and the ROCB BA/P participated in it. At the invitation of Ms. Sarah Wickham, Acting Controller of the Solomon Islands Customs, Mr. Kazunari Igarashi, Head of the ROCB A/P as a WCO representative, visited the Solomon Islands to have political dialogues with senior government officials to pave the way for joining the WCO. 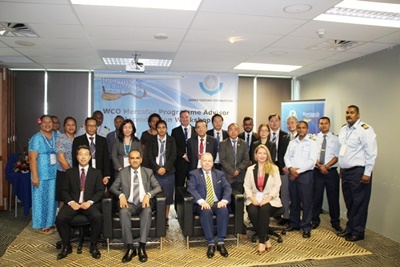 The WCI, in cooperation with the ROCB A/P and the Australian Border Force (ABF), organized the WCO A/P WCO Regional Workshop on Frontline Border Capability against Terrorist Threats on 17-21 September 2018 in Sydney, Australia, under the financial sponsorship of the Japan Customs Cooperation Fund (CCF/Japan). 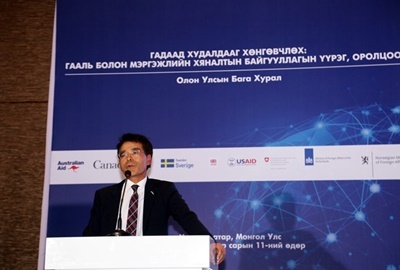 At the requests from the Customs General Administration of Mongolia (CGAM) and the Korea Customs Service (KCS), Mr. Hong-Young Jo of the ROCB A/P attended the Trade Facilitation International Conference held on 11 September 2018 in Ulaanbaatar, Mongolia, under the support of the World Bank Group International Finance Corporation. 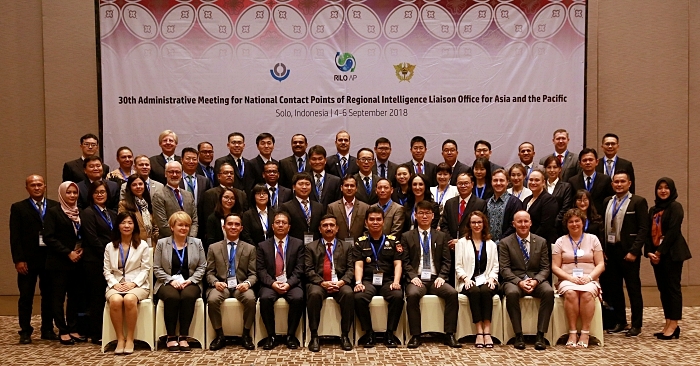 At the invitation from the Regional Intelligence Liaison Office for Asia and the Pacific (RILO A/P), Ms. Saori Nojima, Program Manager of the ROCB A/P, attended the 30th Administrative Meeting for National Contact Points (NCP) of RILO A/P, which was held on 4-6 September 2018 in Solo/Surakarta, Indonesia. At the invitation from the North-West Institute of Management of Russian Presidential Academy (RANEPA Branch), Dr. Tong Hua, Program Manager of the ROCB A/P, attended an Academic Seminar on Customs Modernization, which was held on 30 August-7 September 2018 in Saint Petersburg, Russia. 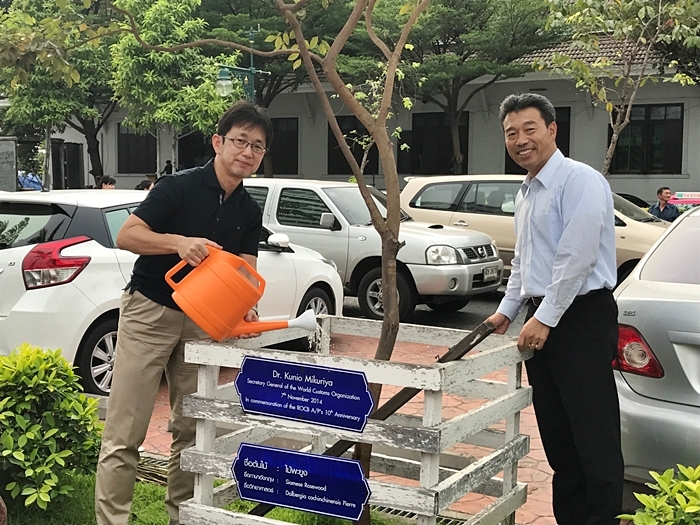 At the request of the WCO Secretariat, Dr. Tong hua, Program Manager of the ROCB A/P, represented the WCO to the Conference on ‘Science, Technology, and Innovation for Addressing Wildlife and Forest Crimes and Attaining SDGs’ held from 28 to 29 August 2018 at the AIT Conference Center, Thailand, as a guest speaker. At the invitation of the United Nations Economic and Social Commission for Asia and the Paciﬁc (UNESCAP), in cooperation with the International Trade Development Institute (ITD), Mr. Hong-Young Jo of the ROCB A/P attended the ESCAP-ARTNeT/ITD Regional Workshop on Trade Facilitation for Sustainable Development held from 7 to 10 August 2018 at the UN Convention Center in Bangkok, Thailand. 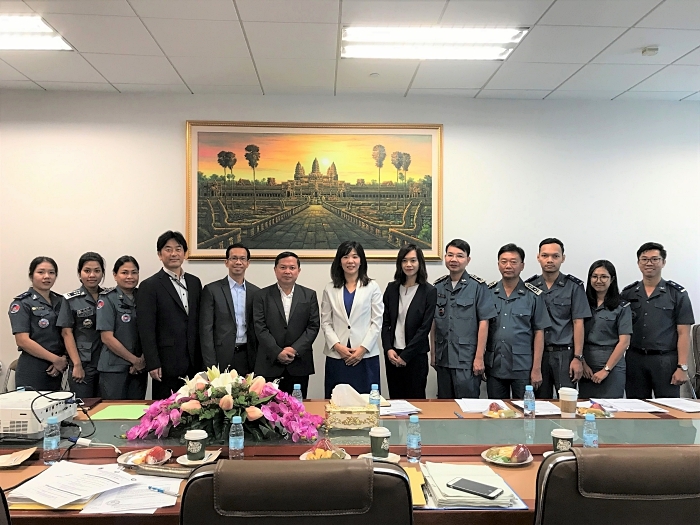 The WCO Mercator Program Gap Analysis and Strategic Planning Support Mission for General Department of Customs and Excise of Cambodia (GDCE) was held on 6-15 August 2018 in Phnom Penh, Cambodia under the sponsorship of Japan Customs Cooperation Fund (CCF/Japan). The WCO, in cooperation with the ROCB A/P and the Central Board of Indirect tax and Customs (CBIC) of India, organized the WCO A/P Regional High-Level Seminar of Cross-Border E-Commerce Framework of Standards (FoS) on 16-17 July 2018 at a hotel in New Delhi, India, with financial sponsorship of Customs Cooperation Find of Japan (CCF/Japan). 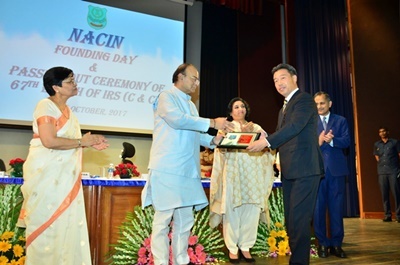 At the invitation of the Central Board of Indirect Tax and Customs (CBIC) of India, Mr. Kazunari Igarashi, Head of the ROCB A/P, attended the Assumption Ceremony of WCO A/P Vice Chair of India, which was held on 16 July 2018 at a hotel in New Delhi, India, back-to-back with the WCO A/P Regional High-Level Seminar on Cross-Border E-Commerce Framework of Standards. 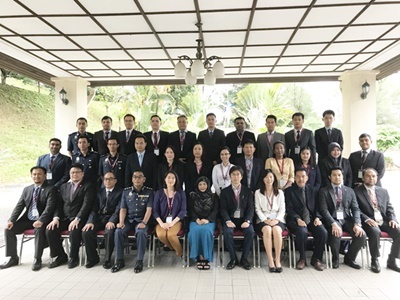 The WCO Sub-Regional Workshop for ASEAN Member States (AMS) on Border Enforcement on Counterfeiting and Piracy was held on 9-13 July 2018 in Langkawi, Malaysia, under the sponsorship of Japan Customs Cooperation Fund (CCF/Japan). 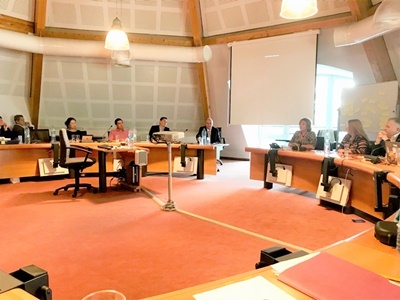 The second WCO Global Mercator Program Advisor (MPA) Seminar was held at the WCO Headquarters in Brussels, Belgium, on 2-6 July 2018 with a view to continuously providing a platform for MPAs to share experiences in their respective missions under the Mercator Program and update the recent developments in the initiatives undertaken by the WCO and its development partners so that the MPAs may provide the down-to-the-earth support in the tailor-made track approach. 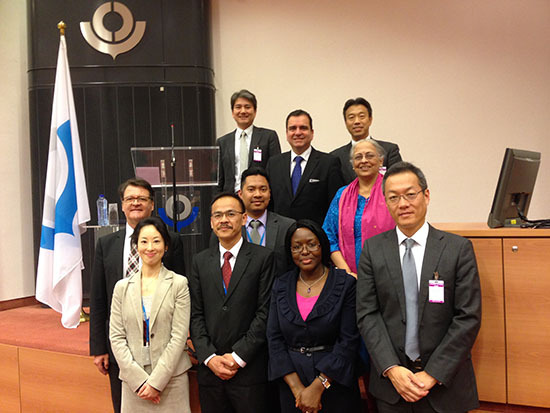 At the invitation by the WCO Secretariat, Mr. Kazunari Igarashi, Head of the ROCB A/P, participated in the 132nd Session of the WCO Council, which took place on 28-30 June 2018 at the WCO Headquarters in Brussels, as an observer. 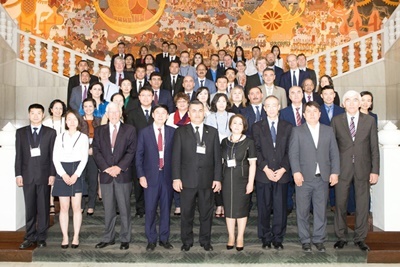 At the invitation from the Asian Development Bank (ADB), Mr. Hong-Young Jo of the ROCB A/P, participated in the Central Asia Regional Economic Cooperation (CAREC) Inaugural Meeting of Regional Trade Group (RTG) and CAREC Senior Officials’ Meeting (SOM), which were held consecutively on 25-26 June 2018 and 27-28 June 2018 respectively in Bangkok, Thailand. 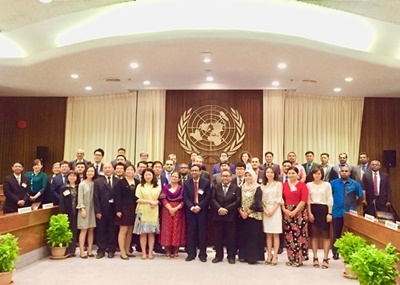 At the invitation from the UN Environment Ozon Action Asia and Pacific Office, Dr. Tong Hua, Program Manager of the ROCB A/P, attended the Risk Profiling Workshop for Customs and Border Control Officers and National Ozone Officers of India, Maldives, Pakistan and Sri Lanka, which was held from 20 to 22 June 2018 at the UN Conference Center in Bangkok, Thailand, as a resource person. 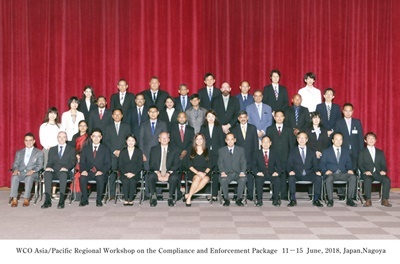 The WCO, in cooperation with the Japan Customs and the ROCB A/P, organized a Regional Workshop on Compliance and Enforcement Package (CEP) on 11-15 June 2018 at the Nagoya Customs, Japan. This was the first WCO workshop held at the Nagoya Customs. 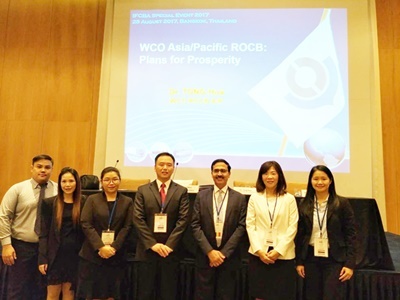 Mr. Tong hua, Program Manager of the ROCB A/P, attended the WCO IT Conference and Exhibition (WCO ITC) 2018 held from 6 to 8 June 2018 in Lima, Peru. 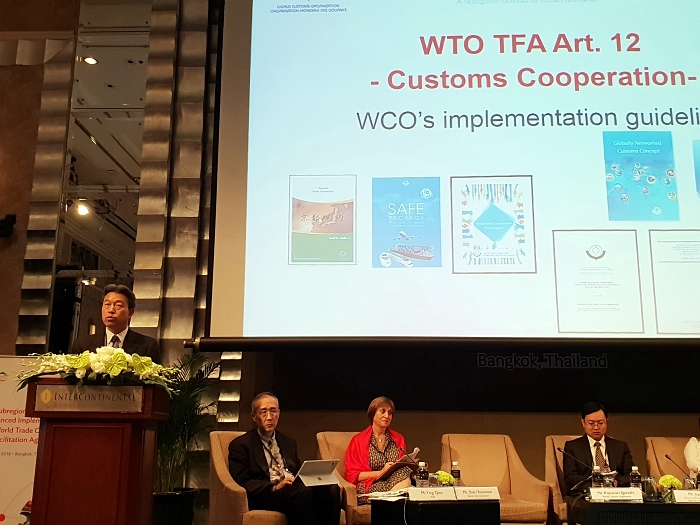 The WCO ITC discussed the various topics for “Building a Reliable Digital Landscape to Boost Cross-Border Trade”, the theme of this year’s Conference. 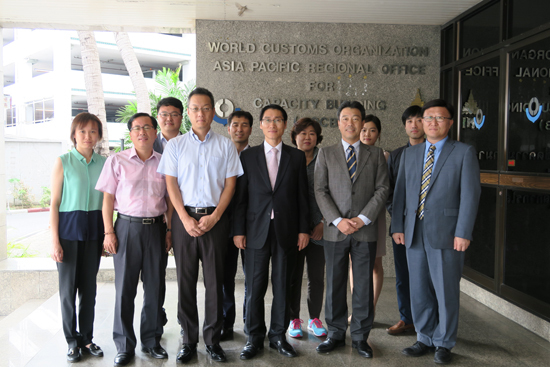 At the invitation of the Asian-Pacific Postal Union (APPU), Dr. Tong Hua of the ROCB A/P, participated and contributed to the Workshop for State Post Bureau China on Belt and Road Initiative, which was held on 30 May 2018 at the Asian-Pacific Postal College in Bangkok, Thailand, as a guest speaker. 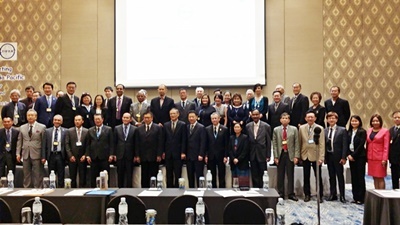 At the request from the WCO Secretariat and the invitation from the INTERPOL, Ms. Saori Nojima, Program Manager of the ROCB A/P, attended the Asian Region Meeting held from 15 to 17 May 2018 in Singapore as a representative of the WCO to discuss joint enforcement against counterfeit and illicit medicines. At the invitation of WCO Secretariat, Dr. Tong Hua, the ROCB A/P Program Manager, joined the WCO Seminar on Training Strategy and Simplified Human Resource Management (HRM) Diagnostic Study held from 14 May to 18 May 2018 at the Lesotho Revenue Authority (LRA) Training Center in Maseru, Lesotho, as chief expert. The Fiji Revenue and Customs Service (FRCS), who is currently assuming the role of the WCO A/P Regional Vice Chair, convened the 19th Regional Heads of Customs Administration (RHCA) Conference on 14-17 May 2018 in Sigatoka, Fiji, and more than 50 delegates from the regional Member administrations and observers from the WCO Secretariat as well as RILO A/P and ROCB A/P participated in this high-level regional conference. 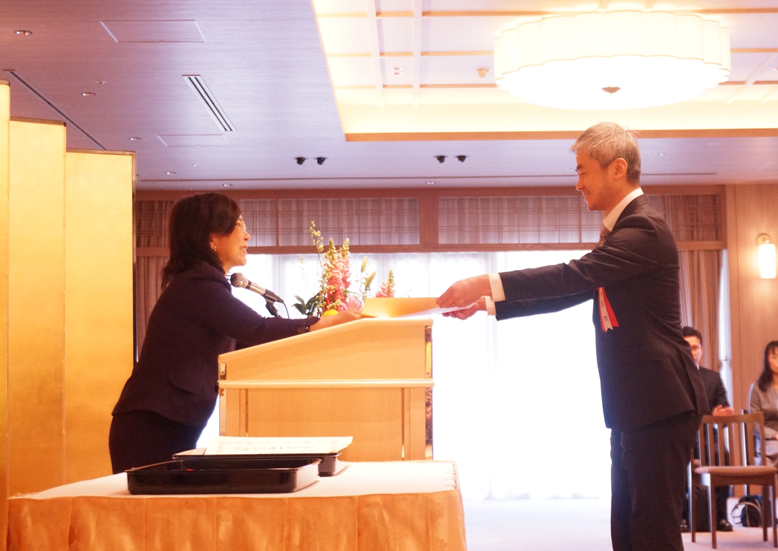 Mr. Kazunari Igarashi, Head of the ROCB A/P, attended the Conference. 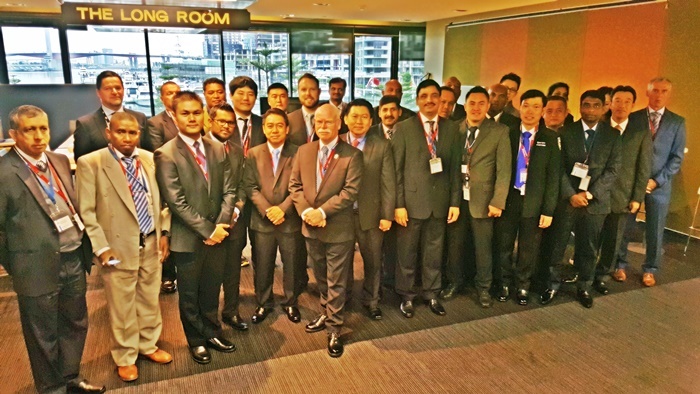 At the request of the WCO Secretariat and invitation from the Royal Malaysian Customs Department (RMCD), Mr. Kazunari Igarashi, Head of the ROCB A/P, attended the 27th Meeting of the ASEAN Directors General (DGs) Meeting held on 3 May 2018 in Langkawi, Malaysia, as a representative of the WCO. 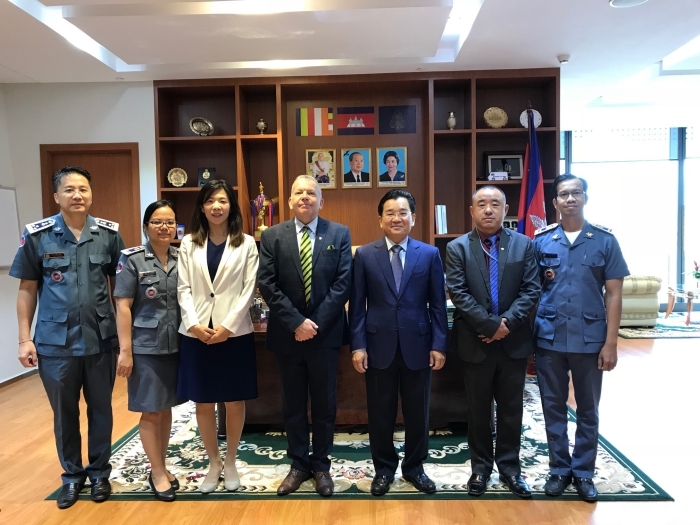 The WCO, in cooperation with the Viet Nam Customs and the ROCB A/P, organized the Regional Workshop on Human Resource Development (HRD) from 24 May to 27 May 2018 in Ha Noi, Viet Nam under the sponsorship of the Korea Customs Cooperation Fund (CCF/Korea). 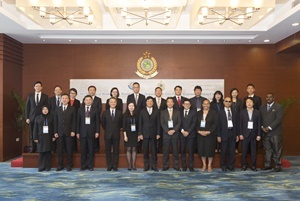 The WCO, in cooperation with the General Administration of China Customs (GACC) and the ROCB A/P, organized the Regional Workshop on Environmental Topics from 23 May to 27 May 2018 at RTC-China (Shanghai Customs College) under the sponsorship of the China Customs Cooperation Fund (CCF/China). 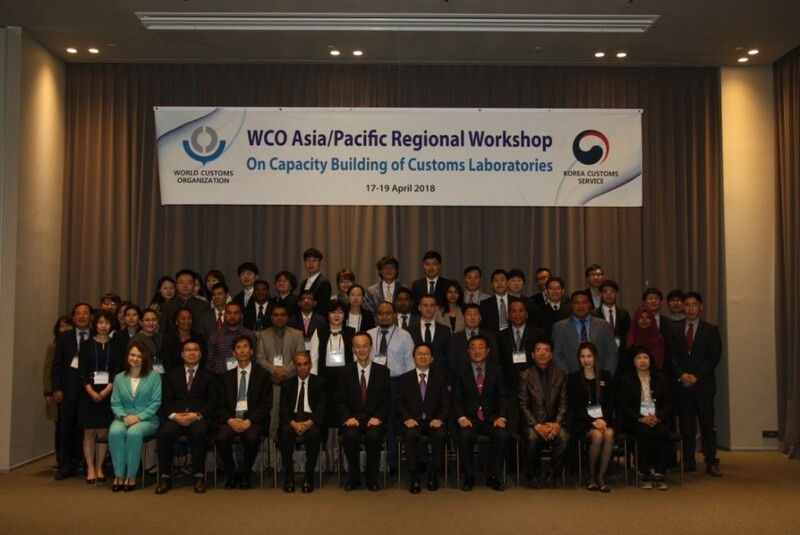 The WCO, in cooperation with the ROCB A/P and Korea Customs Service (KCS), organized the WCO Regional Workshop on Capacity Building of Customs Laboratories from 17 April to 19 April 2018 in Busan, Korea, under the financial support of Customs Cooperation Fund of Korea (CCF/Korea) to enable the sharing of analytical techniques in the A/P region. 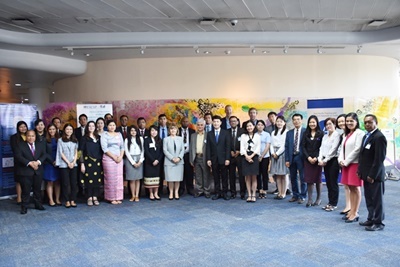 At the invitation of the United Nations Economic and Social Commission for Asia and the Paciﬁc (UNESCAP), Mr. Hong-Young Jo of the ROCB A/P attended the Capacity Building Workshop on Cross-border Paperless Trade Facilitation: Implications of Emerging Technologies held from 20 to 23 March 2018 at the UN Convention Center in Bangkok, Thailand. 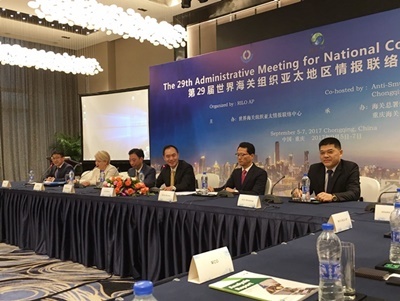 The World Organization of Animal Health (OIE) organized a Regional Seminar for OIE National Focal Points for Veterinary Products on 20-22 March 2018 in Bangkok, Thailand. 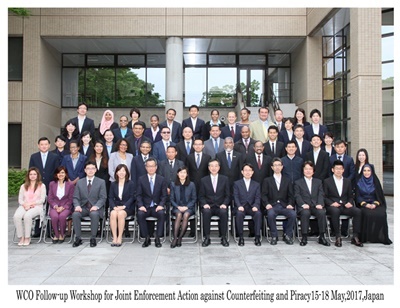 The WCO Regional Workshop on Anti-money Laundering and Counter Terrorism Financing was held on 12-15 March 2018 in Sydney, Australia, under the sponsorship of Japan Customs Cooperation Fund (CCF/Japan). The 9th Session of the WCO Capacity Building Committee(CBC) was convened on 26 – 28 February 2018 at the WCO Headquarters in Brussels, Belgium. On the occasion of the 13th Global Meeting of the Heads of the Regional Offices for Capacity Building (ROCBs), Regional Training Centers (RTCs) and the Vice Chairs’ Offices, the ROCB A/P convened the 15th Meeting of the Heads of the WCO A/P Regional Training Centers on 23 February 2018 at the WCO Headquarters in Brussels, Belgium. The WCO Convened the 13th Global Meeting of the Heads of the Regional Offices for Capacity Building (ROCBs), the Regional Training Centers (RTCs) and Vice Chairs’ Offices on 22 and 23 February 2018 at its Headquarters in Brussels, Belgium, which was attended by some 30 delegates from the ROCBs, RTCs and Vice Chairs’ Offices around the world. The WCO, in cooperation with the ROCB A/P and Korea Customs Service (KCS), organized the WCO Regional Workshop on Authorized Economic Operators (AEO) and Mutual Recognition Agreements/Arrangements (MRA) from 5 February to 9 February 2018 in Seoul, Korea, under the financial support of Customs Cooperation Fund of Korea (CCF/Korea) to support the implementation of AEO and achievement of MRA negotiations in Asia and Pacific Region. On 1 February 2018, the Regional Office for Asia and the Pacific of the UN Environment Programme (UNEP) hosted the stakeholders meeting on a proposal for a strengthened Regional Enforcement Network for Chemicals and Waste in the UN Conference Center in Bangkok, Thailand. 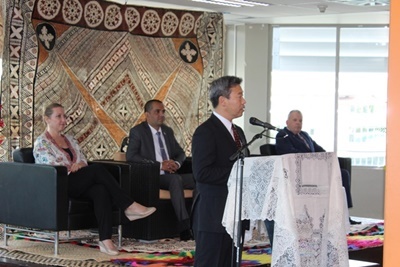 At the invitation of Mr. Visvanath Das, Chief Executive Officer of the Fiji Revenue and Customs Service (FRCS), Mr. Kazunari Igarashi, Head of the ROCB A/P, joined the International Customs Day ceremony held at the FRCS Headquarters in Suva, Fiji, as chief guest. At the invitation of International Network of Customs Universities (INCU) Secretariat, Dr. Tong Hua, ROCB A/P Program Manager, participated in the International Academic Seminar held at the ROCB European Building from 22 January to 26 January 2018 in Baku, Azerbaijan. WCO A/P Regional Workshop on the Accreditation of Mercator Program Advisors (MPAs) was held at the WCO Regional Training Center in Suva, Fiji, on 22- 26 January 2018 with funding support of the Korea Customs Cooperation Fund (CCF/Korea). 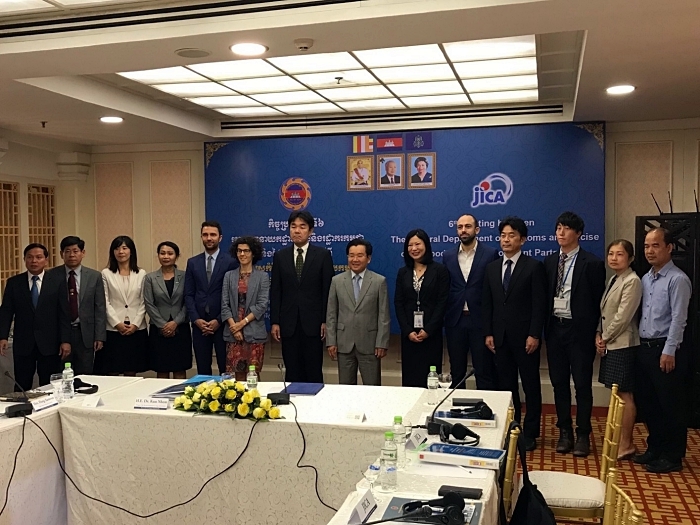 At the invitation from the Asian Development Bank (ADB), Mr. Kazunari Igarashi, Head of the ROCB A/P, participated in the Central Asia Regional Economic Cooperation (CAREC) Workshop on Trade and Trade Facilitation Reforms, which was held on 12 December 2017 in Bangkok, Thailand. The WCO, in cooperation with the ROCB A/P and Fiji Revenue and Customs Service (FRCS), organized the WCO Sub-Regional Workshop for Oceania Members on Combating Counterfeiting and Piracy from 4 December to 8 December 2017 at the WCO Regional Training Center (RTC) in Suva, Fiji. 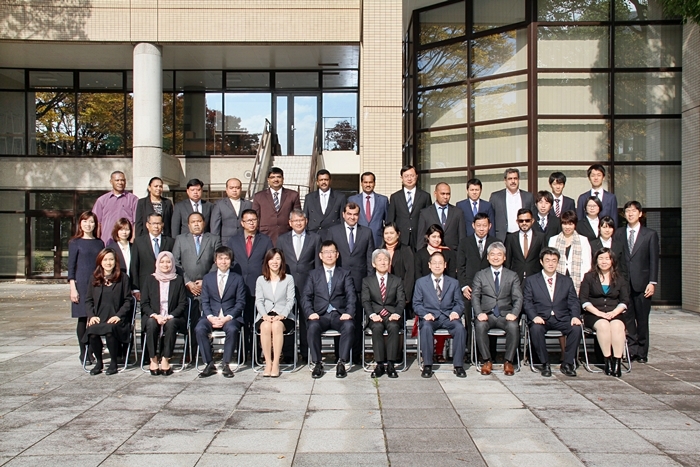 The WCO, in cooperation with the ROCB A/P and Japan Customs, organized the WCO Regional Workshop on Risk Management and Post Seizure Analysis from 4 December through 8 December 2017 at the WCO Regional Training Center (Japan Customs Training Institute) in Kashiwa, Japan, with sponsorship of the Japan Customs Cooperation Fund (CCF/Japan). 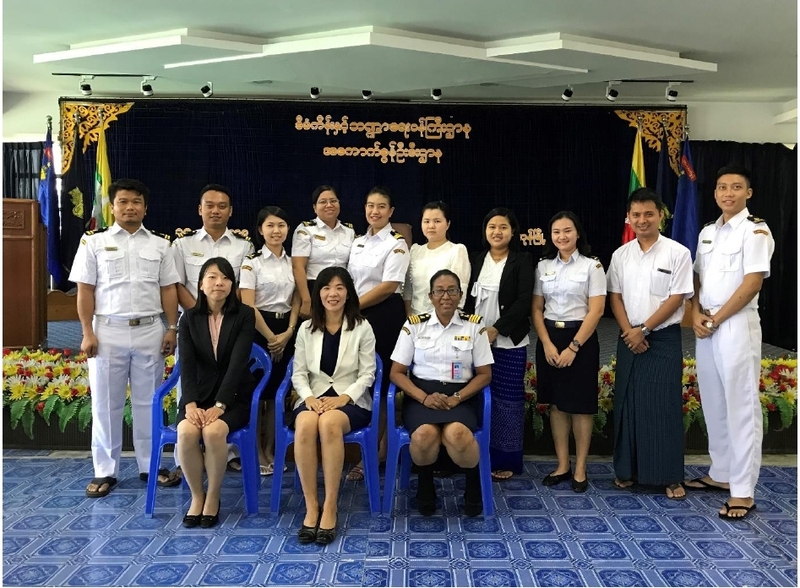 With the sponsorship of the Japanese Customs Cooperation Fund (CCF Japan), a WCO National Seminar on Combating Counterfeiting and Piracy was held for the General Department of Customs and Excise of Cambodia in Phnom Penh from 4 to 6 December 2017. 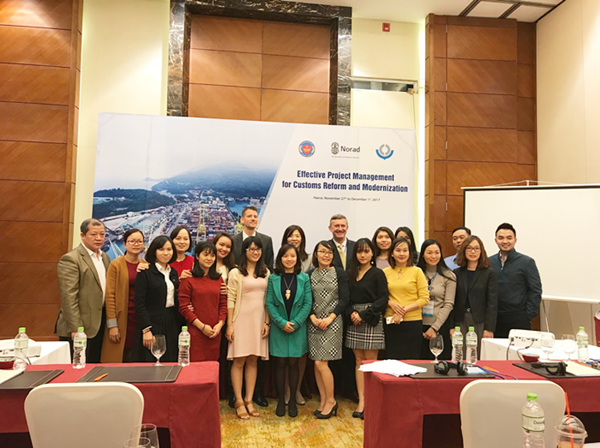 The WCO Workshop on Effective Project Management for Customs Reform and Modernization for Vietnam was conducted from 27 November through 1 December 2017 in Hanoi, Vietnam under the sponsorship of the Norwegian Agency for Development (NORAD). 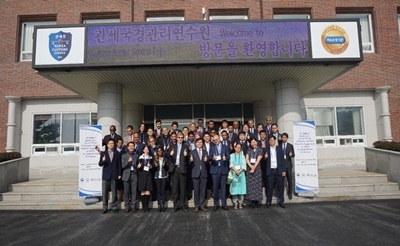 The GTI Secretariat organized a Trade Facilitation Workshop from 28 to 30 November 2017 in Cheonan, Korea, in cooperation with Korea Customs Service(KCS) under the financial support of Customs Cooperation Fund of Korea(CCF/Korea) to support the realization of trade facilitation in the Northeast Asia through the promotion of the AEO programs. 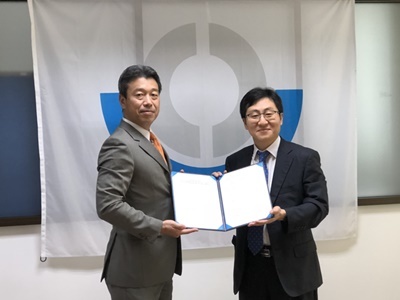 The WCO, in close cooperation with the ROCB A/P and Japan Customs, organized the WCO Regional Workshop on the WTO Trade Facilitation Agreement(TFA) on 6-10 November 2017 at the WCO Regional Training Center (RTC) Japan (Japan Customs Training Institute) in Kashiwa, Japan, under the sponsorship of Japan Customs Cooperation Fund (CCF/Japan). At the invitation from the WCO Secretariat and Korea Customs Service (KCS), Mr. Kazunari Igarashi, Head of the ROCB A/P, attended the WCO A/P Regional Intelligence Liaison Office (RILO A/P)’s 30th Anniversary Ceremony held on 6 November 2017 in Seoul, Korea. More than 130 guests from the WCO Member administrations around the world, other RILO and international organisations attended the Ceremony. At the invitation of the Philippines National Chamber of Customs Brokers, Inc, (CCBI), Dr. Tong hua, Program Manager of the ROCB A/P, as a guest speaker, attended the 27th Annual National Convention of Chamber of Customs Brokers, which was held at SMX Convention Center on 3-4 November 2017 in Davao City, Philippines. 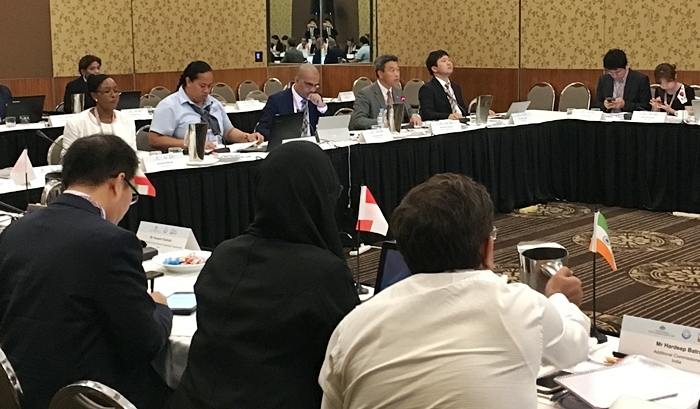 27th Meeting of the WCO A/P Regional Contact Points was convened on 11-13 October 2017 in Cairns, Australia, which was attended by 47 delegates from 22 Member administrations as well as observer organizations, i.e. WCO Secretariat, the ROCB A/P and the RILO A/P. 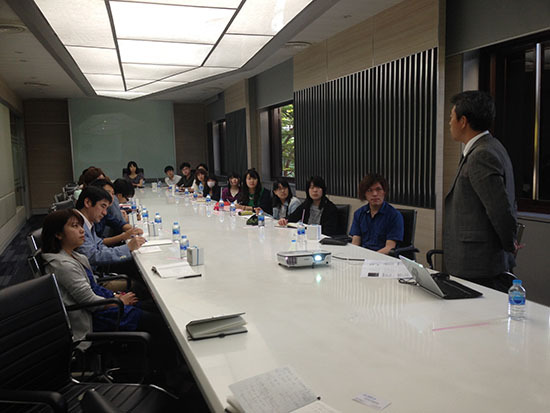 Mr. Kazunari Igarashi, Head of the ROCB A/P, attended the Meeting as an observer. 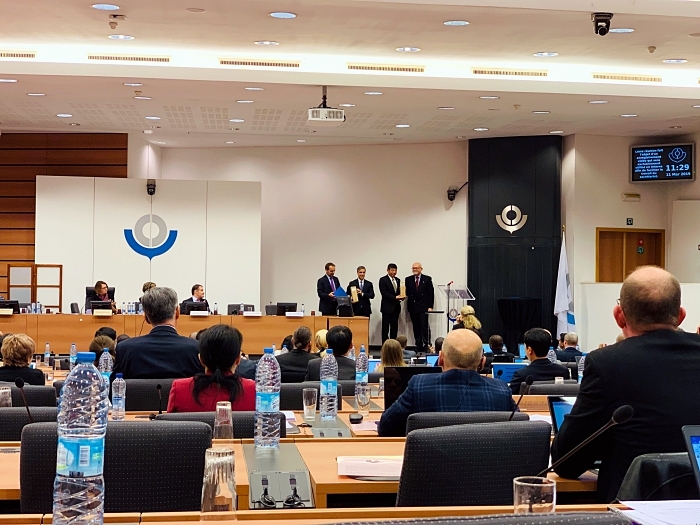 At the invitation of the WCO Research Unit, Dr. Tong hua of the ROCB A/P, attended the 12th WCO Annual PICARD Conference, which ran from 26 to 28 September 2017 in Hammamet, Tunisia. WCO National Workshop on Passenger Control for Lao PDR was conducted on 25-29 September 2017 in Vientiane, Lao PDR, under the sponsorship of Japan Customs Cooperation Fund (CCF/Japan). 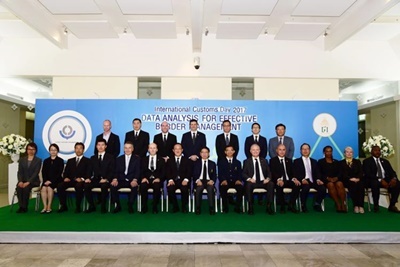 The WCO National Workshop for Indonesia Customs on Combating Counterfeiting and Piracy was held on 11-15 September 2017 in Jakarta, Indonesia under the sponsorship of the Japan Customs Cooperation Fund (CCF/Japan) and a total of 21 Custom officers in charge of border enforcement of intellectual property rights (IPR) participated in the workshop. Asia Pacific Trade Facilitation Forum (APTFF) 2017 and its side events, i.e. a series of trade facilitation-related workshops, were held on 5-6 September 2017 and 7 September 2017 respectively in Yogyakarta, Indonesia, by UNESCAP and ADB, in cooperation with Indonesia Coordinating Ministry of Economic Affairs. 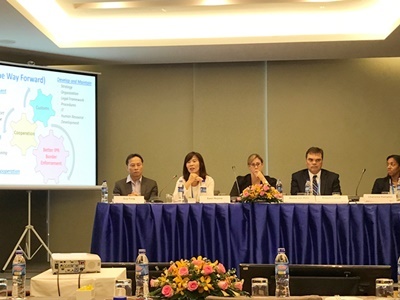 At the invitation of APEC, Ms. Saori Nojima, Project Manager of the ROCB A/P, attended the workshop on Trademark Determination in a Border Enforcement Context on 24th August 2017 in Ho Chi Minh City, Viet Nam. 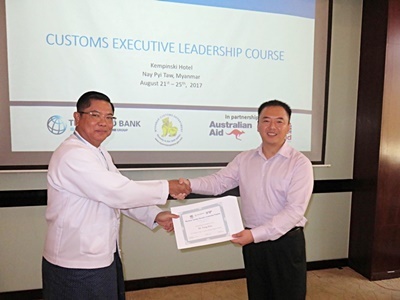 At the invitation from the World Bank Group, Trade & Competitiveness of Myanmar, Dr.Tong hua, Program Manager of the ROCB A/P, attended the Myanmar Customs Leadership Course held on 22 and 23 August 2017 in Nay Pyi Taw, Myanmar, as a guest speaker. At the invitation of the Royal Brunei Customs and Excise Department (RCED), the WCO delegation consisting Dr. Kunio Mikuriya, WCO Secretary General, and Mr. Kazunari Igarashi, Head of the ROCB A/P, visited Bandar Seri Begawan, Brunei Darussalam to meet Brunei’s government leaders and Customs executives and exchange views for their future Customs modernization through active participation in the WCO’s initiatives undertaken at global and regional levels. At the invitation of Bangladesh National Board of Revenue (NBR), the WCO delegation consisting Dr. Kunio Mikuriya, WCO Secretary General, and Mr. Kazunari Igarashi, Head of the ROCB A/P, visited Dhaka, Bangladesh to launch the WCO’s Security Project for Bangladesh and to seek political support for accelerating Customs reform and modernization to contend with a series of challenges being discussed at the international arena, such as counter-terrorism and supply chain security and trade facilitation. 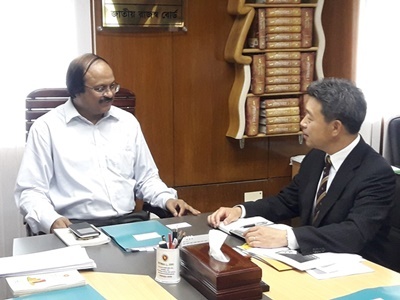 At the invitation of India Central Board of Excise and Customs (CBEC), the WCO delegation consisting Dr. Kunio Mikuriya, WCO Secretary General, and Mr. Kazunari Igarashi, Head of the ROCB A/P, visited New Delhi, India with a view to advocating CBEC’s on-going commitment to the implementation of the WTO Trade Facilitation Agreement (TFA). To this end, on 21 July 2017, WCO Secretary General participated in the Trade Facilitation Forum held in New Delhi and made a keynote address in front of some 100 audiences representing various stakeholders and development partners, and commended the CBEC for their structured engagement to the TFA implementation through devising a concrete action plan as a good practice. At the invitation of Pakistan Federal Board of Revenue (FBR), the WCO delegation consisting Dr. Kunio Mikuriya, WCO Secretary General, and Mr. Kazunari Igarashi, Head of the ROCB A/P, visited Islamabad, Pakistan with a view to meeting Pakistani government leaders to seek their political support for the on-going Customs reform and modernization and encourage their further contribution and commitment to a series of challenges surrounding Customs, including trade facilitation and supply chain security. At the invitation of Afghan Customs Department (ACD), the WCO delegation consisting Dr. Kunio Mikuriya, WCO Secretary General, and Mr. Kazunari Igarashi, Head of the ROCB A/P, visited Kabul, Afghanistan with a view to meeting Afghan government leaders to seek their political support for the on-going Customs reform and modernization. 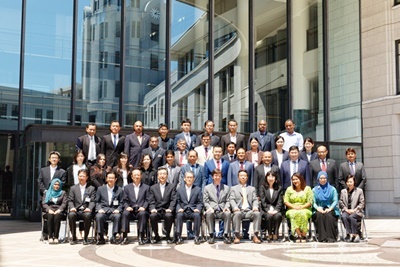 WCO Regional Workshop on Small Arms and Light Weapons (SALW) was conducted on 17-20 July 2017 in Melbourne, Australia, under the sponsorship of CCF/Japan, and in cooperation with the ROCB A/P and Australian Department of Immigration and Boarder Protection (DIBP), along with strong contribution from the resource person from the WCO. 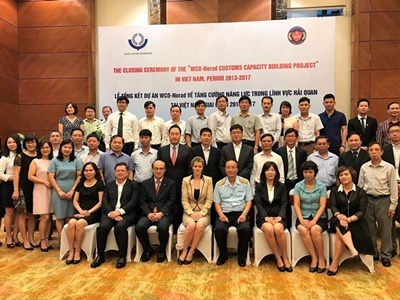 WCO/Norad Project Mission on Stakeholder Engagement and Client Service for Vietnam Customs was conducted on 10-14 July in Hanoi, Vietnam. The 129th/130th Session of the WCO Council was convened on 6-8 July 2017 at the WCO Headquarters in Brussels, in which more than 400 delegates and observers participated. At the invitation of the ADB and Bhutan Customs, Mr. Kazunari Igarashi, Head of the ROCB A/P, attended the 6th Meeting of the South Asia Sub-regional Economic Cooperation (SASEC) Customs Subgroup (SCS-6), which took place on 15 June 2017 in Thimphu, Bhutan, as one of the resource speakers. The WCO, in cooperation with the ROCB A/P and Japan Customs, organized the WCO Regional Workshop on Customs Valuation and Revenue Package was held on 5 – 9 June 2017 at the Kobe Customs Headquarters in Kobe, Japan, under the sponsorship of the Japan Customs Cooperation Fund (CCF/Japan). The WCO organized the Sub-Regional Workshop on Technical Update of Rules of Origin for ASEAN Member Customs Administrations on 5-9 June 2017 in Bangkok, Thailand. Mr. Tong hua, Program Manager of the ROCB A/P, attended the WCO IT Conference and Exhibition 2017 held from 7 to 9 June 2017 in Tbilisi, Georgia, under the theme “The Power of Data”. With the invitation of Myanmar Customs Department (MCD) and Japan International Cooperation Agency (JICA), Mr. Takayuki Miyoshi, CCF/Japan Operation Manager of ROCB A/P, attended the Development Partner Meeting for the MCD, which was held on 2 June 2017 in Yangon, Myanmar. Seizing the occasion of a mission to Japan, Mr. Kazunari Igarashi, Head of the ROCB A/P, visited the Customs and Tariff Bureau (CTB) of Ministry of Finance in Tokyo on 29 May 2017 and greeted the CTB executives, including Mr. Mikio Kajikawa, Director General of the CTB, and Mr. Hiroshi Kishimoto, Deputy Director General of the same. Mr. Kazunari Igarashi, Head of the ROCB A/P, visited Bangladesh National Board of Revenue (NBR) in Dhaka on 24-25 May 2017 with a view to consulting Chairman and Members of the NBR how the WCO and the ROCB A/P could further strengthen current cooperative ties with the NBR in order to better contending with a series of the WCO prioritized issues, such as supply chain security and counter-terrorism, trade facilitation, e-commerce, Customs-Tax cooperation and illicit financial flows. 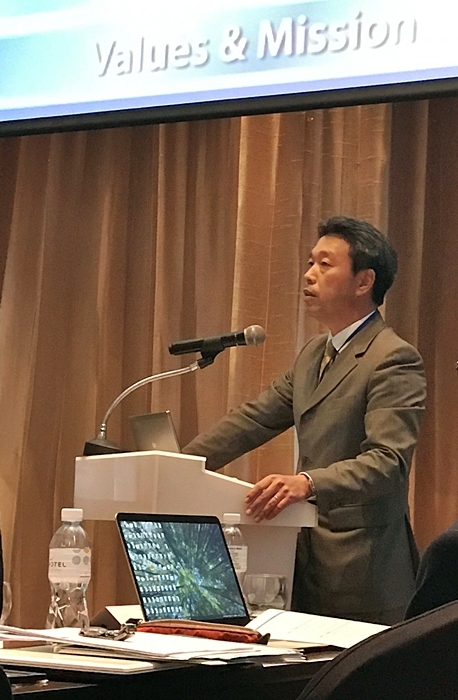 In response to the request by the WCO Secretariat and at the invitation by Indonesia Customs, Mr. Kazunari Igarashi, Head of the ROCB A/P, spoke at the Dialogue Session between the WCO and ASEAN Directors General (DGs) held as part of the ASEAN DGs Meeting on 17 May 2017 in Bali (Denpasar), Indonesia, in the capacity of a WCO representative. The WCO, in cooperation with the ROCB A/P and the RILO A/P, organized the WCO Follow-up Regional Workshop on Counterfeiting and Piracy on 15-18 May 2017 at the WCO Regional Training Center Japan (Japan Customs Training Institute) in Kashiwa, Japan, under the sponsorship of CCF/Japan. 19th Annual Conference of the Oceania Customs Organisation (OCO) was convened on 2-5 May 2017 in Guam, the USA, and approximately 60 delegates, including observers representing the OCO’s partner organizations, including the WCO, attended. 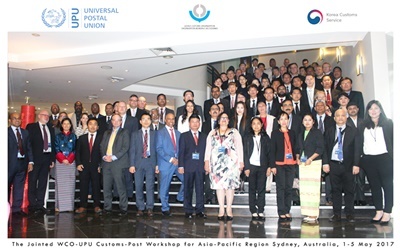 The WCO and the UNESCAP organized the Regional Workshop on Digital Customs and Single Window so called the 3rd UNNExT MASTERCLASS 2017 on 19-28 April 2017 in Seoul and CheonAn City, Korea, in cooperation with the ROCB A/P and the Customs Border Control Training Institute (CBCTI) under the financial support of Customs Cooperation Fund of Korea (CCF/Korea). 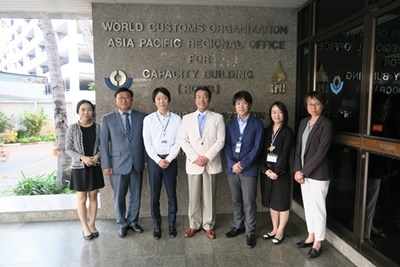 On 25-27 April, the WCO Regional Strategic Workshop on the WCO Security Program has organized in Jakarta, Indonesia, under the sponsorship of Japan Customs Cooperation Fund (CCF/Japan). 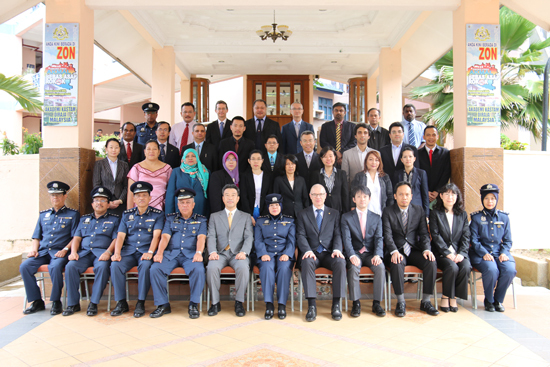 WCO Sub-Regional Workshop on Advance Ruling and Origin Certification for ASEAN Member Countries was conducted on 20-24 March 2017 at the Royal Malaysian Customs Academy (AKMAL) in Melaka, Malaysia, under the sponsorship of CCF/Japan, and in cooperation with the ROCB A/P and Royal Malaysian Customs Department (RMCD). WCO Secretary General, Dr. Kunio Mikuriya, visited the Union of Myanmar to meet Union Ministers and Deputy Ministers in Nay Pyi Taw and call for high-level political support for further enhancing cooperation among the border control agencies, including Customs, with a view to facilitating legitimate trade and strengthening the country’s resilience to the terrorism and transnational organized crime. 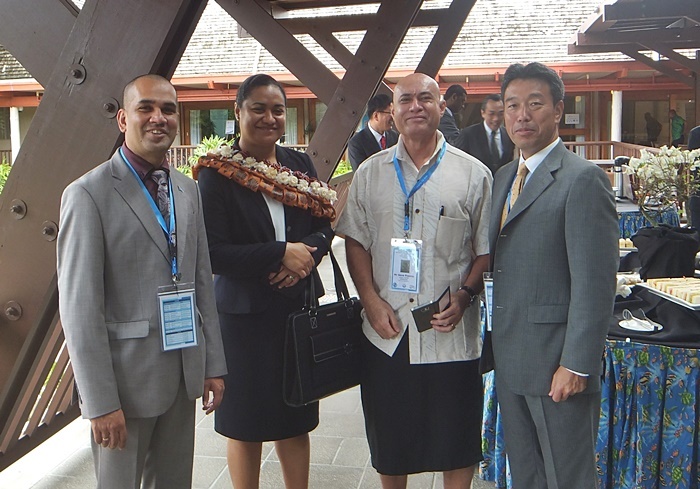 The 18th WCO Asia/Pacific Regional Heads of Customs Administration (RHCA) Conference was held in Suva, Fiji. 12th Global Meeting of Regional Offices for Capacity Building (ROCBs), Heads of the Regional Training Centers (RTCs) and Vice-Chairs’ Offices was convened on 2 and 3 March 2017 at the WCO Headquarters in Brussels, Belgium, and the delegates discussed a set of important capacity building agenda, including the implementation of the WCO’s Mercator Program, regional strategic plan and the regional donor conferences among other things. 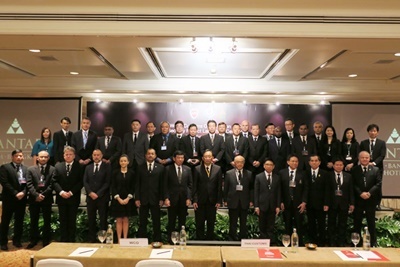 At the invitation from the Fiscal Policy Research Institute Foundation (FPRIF) of Thailand, which is a research institute supporting Thailand’s economic and fiscal management, Mr. Kazunari Igarashi, Head of the ROCB A/P, attended the ASEAN Directors General Meeting on Excise Taxation held on 20 February 2017 in Hua Hin, Thailand, as a guest speaker. On 15 February 2017, the Regional Office for Asia and the Pacific of the UN Environment Programme hosted the 18th meeting of the Asian Regional Partners Forum on Environmental Crime (ARPEC) in the UN building in Bangkok, Thailand. 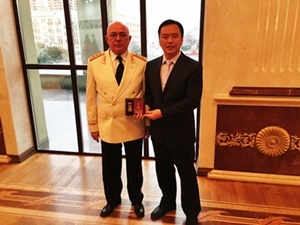 At the invitation of Prof. Aydin Aliyev, Chairman of the State Customs Committee of Azerbaijan, Dr. Tong Hua, ROCB A/P Program Manager, participated in the International Academic Conference held at the Azerbaijan Economic University in Baku, Azerbaijan, on the occasion of International Customs Day and the 25th Anniversary of the State Customs Committee of the Republic of Azerbaijan. 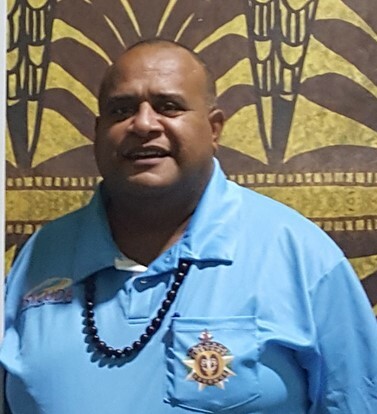 In the wake of the discussion at the last A/P Regional Contact Point Meeting held in November 2016 in Fiji (please refer to workshop click here), the regional working group meetings were convened from 17-20 January 2017 at the Australian Department of Immigration and Border Protection to discuss the Members’ interests in the private sector engagement with Customs community as well as the development of the Regional Strategic Plan (RSP) for 2018-2020 and other technical coordination issues. 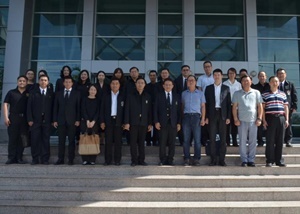 On 18th January 2017, with a kind invitation from Mr. Paisal Chuenjit, Principle Advisor of the Royal Thai Customs Department, staff members of the ROCB A/P joined the study visit program held at the Laem Chabang Port Customs Bureau (LCPCB), Thailand. The WCO-UNODC Container Control Program (CCP) Steering Committee Meeting was convened on 12 January 2017 in Bangkok, Thailand, and more than 50 officials representing eight ASEAN CCP participating countries, the UNODC, donor countries, the RILO A/P, the Oceania Customs Organisation and other observers, attended. The ROCB A/P was also invited to participate in this Meeting on behalf of the WCO. The WCO, in cooperation with the ROCB A/P, organized the WCO A/P Regional Workshop on Digital Customs and E-Commerce on 12-16 December 2016 at the RTC India (National Academy of Customs Excise and Narcotic, NACEN), India, under the sponsorship of CCF/Japan. 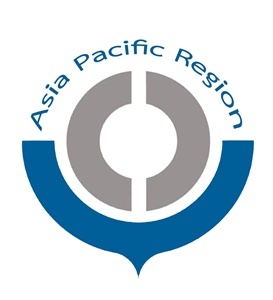 At the invitation of the United Nations Economic Social Commission for Asia and the Pacific (UNESCAP), Ms. Alpha Wong of the ROCB A/P, as the WCO representative, participated in the International Seminar on Trade Facilitation in North-East Asia, which was held on 13 December 2016 in Incheon, Korea. 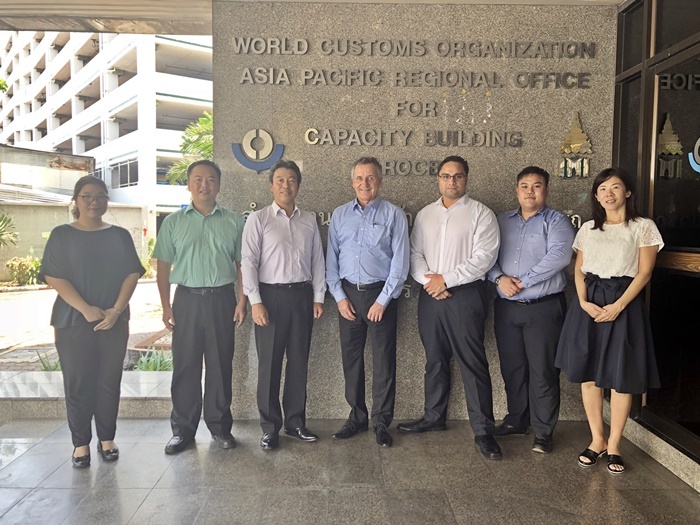 On 7-8 December 2016, 14th Meeting of Heads of the WCO A/P Regional Training Centers (RTCs) was convened at the Hong Kong Customs Headquarters Building. 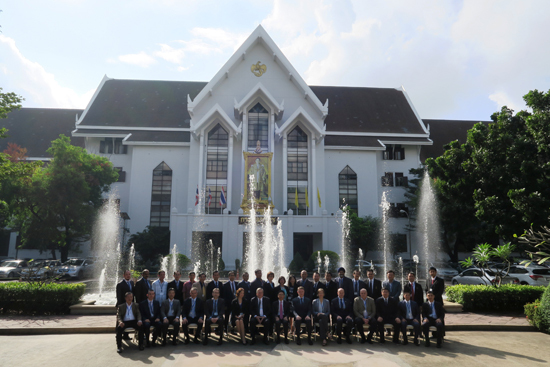 The WCO, in cooperation with the ROCB A/P, organized the WCO National Workshop on Customs Valuation and Transfer Pricing for Thai Customs on 21-25 November 2016 at the Thai Customs Department (TCD) Headquarters in Bangkok, Thailand. 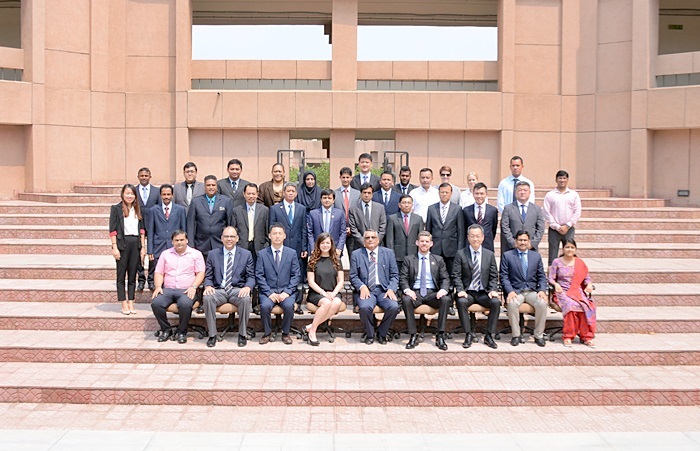 The WCO, in cooperation with the ROCB A/P and the RTC India (National Academy of Customs Excise and Narcotic, NACEN), organized the WCO A/P Regional Workshop on Intelligence-Led Risk Management on 21-25 November 2016 at the RTC India, Faridabad, under the sponsorship of CCF/Japan. 23-24 November 2016 in Bali, Indonesia. 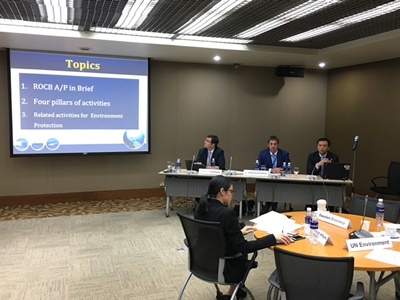 At the invitation of the APEC, Ms. Alpha Wong of the ROCB A/P participated in the APEC Workshop - Enhancing Travel Facilitation and Security through the Implementation of PNRGOV. 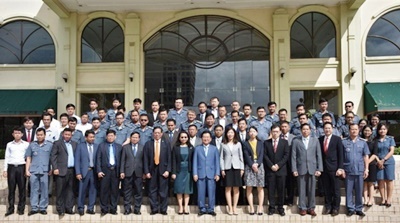 The WCO organized the WCO Sub-regional Security Program Meeting on 23-25 November 2016 in Hanoi, Vietnam with a view to developing a concept of a project to promote the WCO Security Program, which consist of API/PNR, SALW and chemical precursor and components of improvised explosive devices (IED). 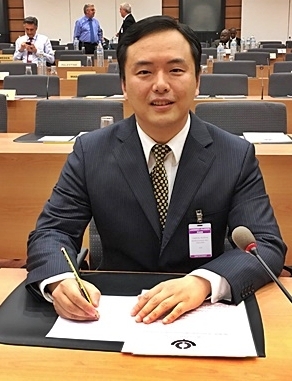 Mr. Kangsik Cho, Program Manager of the ROCB A/P participated in the RILO A/P Seminar on Detector Dogs held on 15-17 November 2016 at the Customs Border Protection Institute (CBCTI) in Cheon-an, Korea and introduced the ROCB A/P’s capacity building activities. 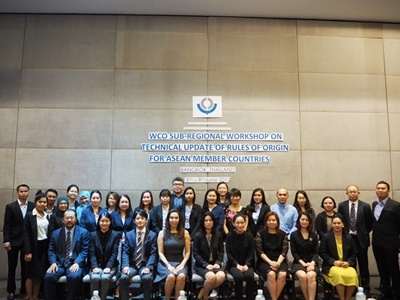 The WCO in cooperation with the ROCB A/P and the RILO A/P organized the WCO A/P Regional Train-The-Trainer Workshop for Joint Enforcement Action Against Counterfeiting and Piracy in the Asia/Pacific Region (ACTION IPR A/P 2) in Bangkok, Thailand, on 15-17 November 2016 under the sponsorship of CCF/Japan. 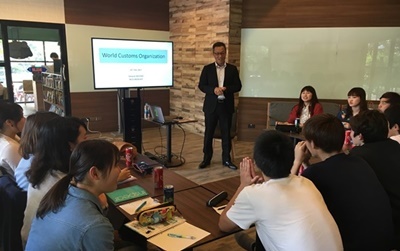 The WCO ROCB A/P, on behalf of the WCO, joined the Customs-Business workshop on UNODC-WCO Container Control Program to enhance the relationship between Customs and Business including related stake holders. 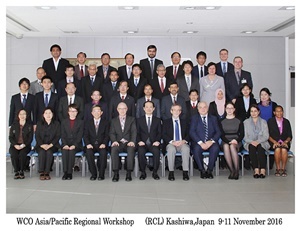 The WCO, in cooperation with the Central Customs Laboratory (CCL) of Japan Customs and the ROCB A/P, organized a Regional Workshop on Capacity Building of Customs Laboratories for the Revenue Package Program and Trade Facilitation from 9 to 11 November 2016 in Kashiwa, Japan. 26th WCO A/P Regional Contact Point Meeting was held on 9-11 November 2016 in Sigatoka, Fiji. Nearly 50 delegates from 21 Member administrations, 4 observer organizations (WCO, RILO A/P, ROCB A/P and OCO) and the Regional Vice Chair’s Secretariat attended and discussed a series of important subjects. 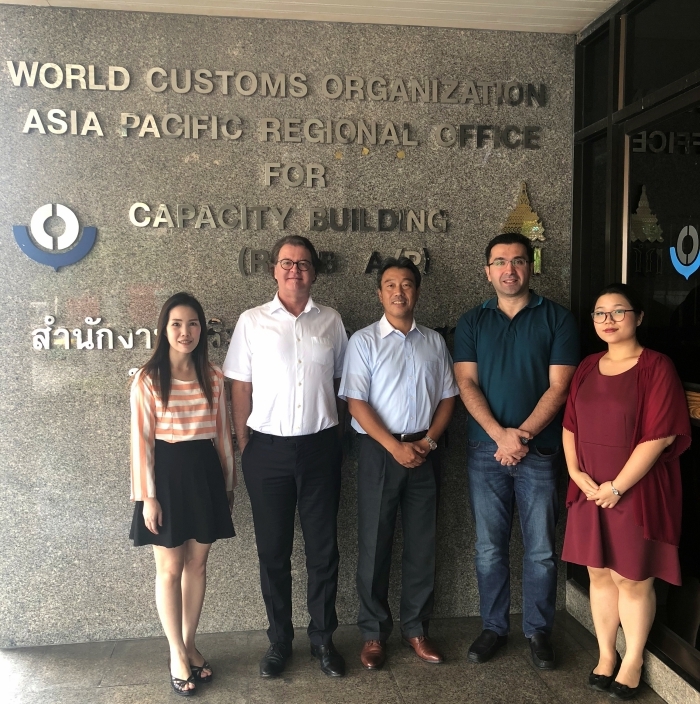 The WCO ROCBA/P, on behalf of the WCO, joined the Customs-Business workshop on UNODC-WCO Container Control Programme to enhance the relationship between Customs and Businessincluding related stake holders. 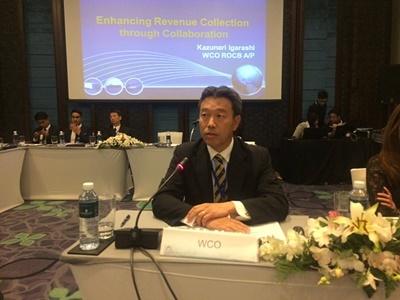 Mr. Kazunari Igarashi, Head of the ROCB A/P joined the WCO mission in Bangkok, Thailand, which aimed at exploring possible areas of cooperation to promote the WCO Security Program with the Thai Customs Department. 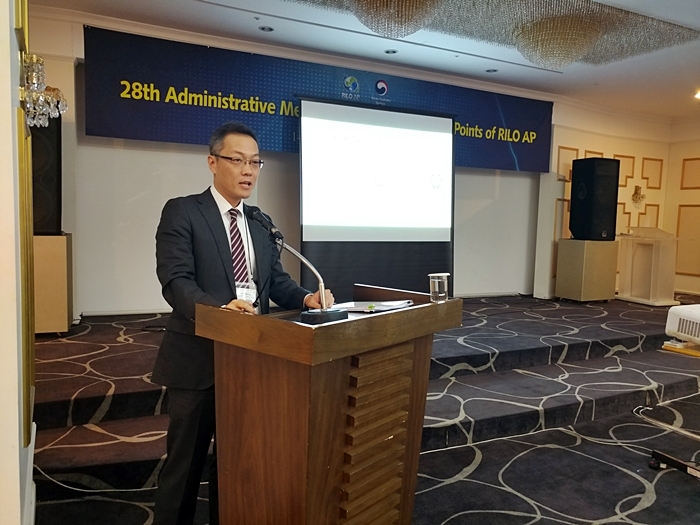 At the invitation of the Regional Intelligence Liaison Office for Asia and the Pacific (RILO A/P), Mr Takayuki Miyoshi, attended the 28th Administrative Meeting for National Contact Points of RILO A/P, which was held in 1-3 November 2016 in Seoul, Korea. 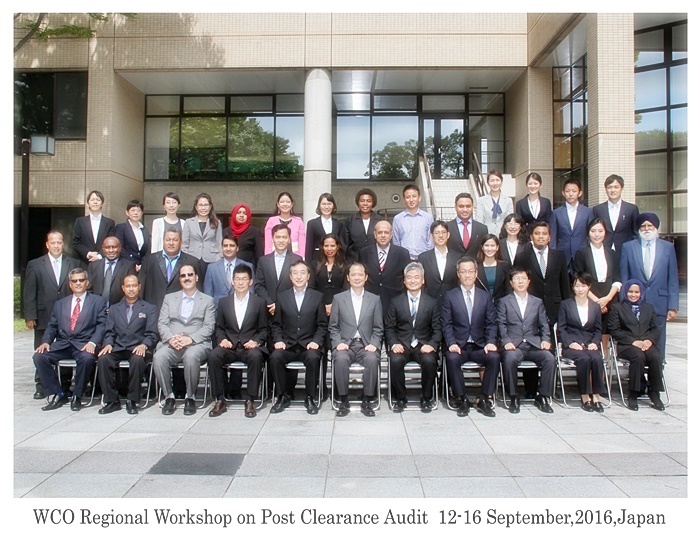 The WCO in cooperation with the ROCB A/P and the RTC Japan organized the WCO A/P Regional Workshop on Post Clearance Audit at the RTC Japan (Japan Customs Training Institute), Kashiwa, on 12-16 September 2016 under the sponsorship of CCF/Japan. 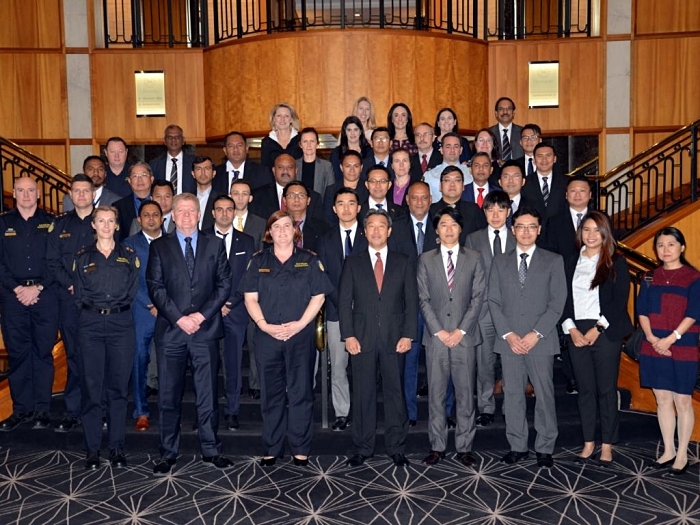 The WCO, in cooperation with the ROCB A/P and the Australian Department of Immigration and Border Protection, organized the WCO A/P Regional Workshop on Non-Intrusive Inspection on 12-16 September 2016 at the Melbourne Customhouse of the Australian Border Force (ABF) under the sponsorship of CCF/Japan. On 29 July 2016, Dr. Kunio Mikuriya, WCO Secretary General, and Mr. Kazunari Igarashi, Head of the ROCB A/P, visited Apia, Samoa, to pay courtesy calls to the Samoan political leaders with a view to calling for continued high-level support for on-going Customs reform and modernization of Samoa Customs, including expeditious accession to the Revised Kyoto Convention. On 28 July 2016, at the invitation of the Oceania Customs Organization (OCO), the WCO Secretary General, Dr. Kunio Mikuriya, and Head of the WCO ROCB A/P, Mr. Kazunari Igarashi, visited the OCO Secretariat in Suva, Fiji. Mr. Seve Paeniu, Head of the OCO Secretariat, and his colleagues warmly welcomed the visit of the WCO representatives. On 28 July 2016, the Official Launching Ceremony of the WCO A/P Vice Chair’s Office was held in Suva, Fiji, with presence of Honorable Mr. Aiyaz Sayed-Khaiyum, Fijian Attorney General and Minister of Economy, Dr. Kunio Mikuriya, WCO Secretary General, Dato’ Sri Khazali bin Hj Ahmad, Director General of the Royal Malaysian Customs Department (RMCD). 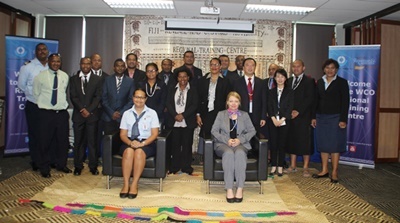 The WCO, in cooperation with the ROCB A/P, Fiji Revenue and Customs Authority (FRCA) and Oceania Customs Organization (OCO), organized the Sub-regional Workshop on Integrity for the Pacific on 27-29 July 2016 at the Regional Training Center Fiji, in Suva, Fiji, under the sponsorship of Japan Customs Cooperation Fund (CCF/Japan). 127th/128th Sessions of the WCO Council was convened on 14-16 July 2016 at the WCO Headquarters in Brussels, Belgium, and was attended by a total of around 500 delegates from the WCO Member administrations, the observer international organizations and business associations. 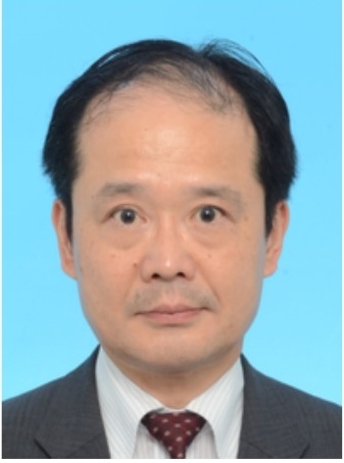 Mr. Kazunari Igarashi, Head of the ROCB A/P, attended the Council as an observer. 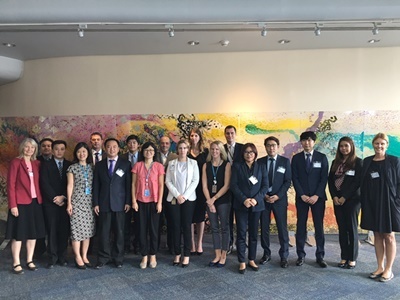 Ms. Alpha WONG of the ROCB A/P, as a WCO representative, attended the ASEM Eurasia Expert Group Meeting on Transport and Logistics, which was held on 11-13 July 2016 in Seoul, Korea. 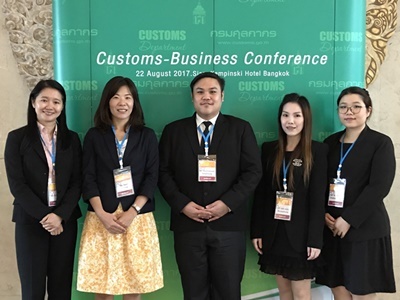 At the invitation of the Thai Customs Department (TCD), Ms. Pariyabhat Ariyapongkoson and Mr. Kangsik Cho of the ROCB A/P attended the Customs-Business Conference held on 7 July 2016 in Bangkok, Thailand. 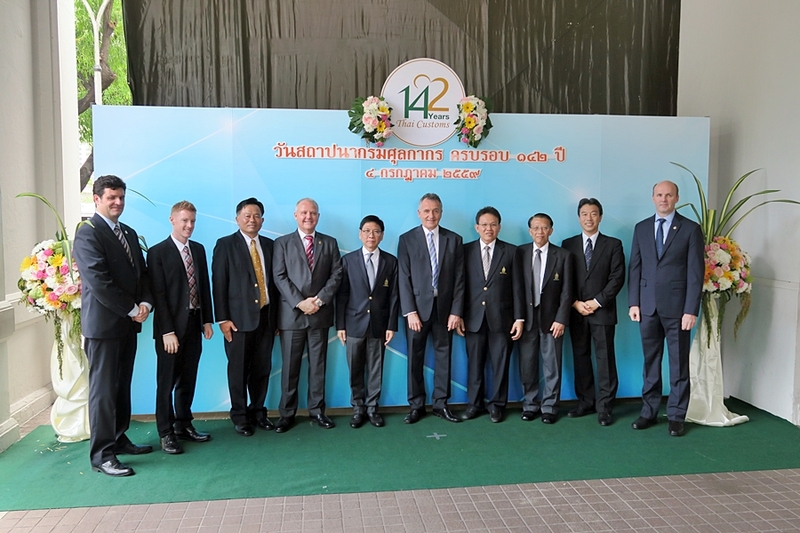 On 4 July 2016, at the kind invitation from Mr. Kulit Sombatsiri, Director General of the Royal Thai Customs Department (TCD), Mr. Kazunari Igarashi, Head of the ROCB A/P, and his staff members joined the TCD’s 142th Anniversary Ceremony held at its Headquarters in Bangkok, Thailand. 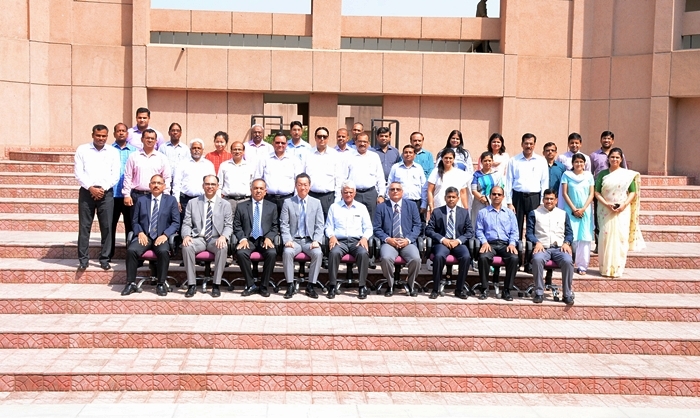 The WCO in cooperation with the ROCB A/P and the RTC India (National Academy of Customs Excise and Narcotic, NACEN) organized the WCO A/P Regional Workshop on the Compliance and Enforcement Package (CEP) at the RTC India, Faridabad, on 20-24 June 2016 under the sponsorship of CCF/Japan. 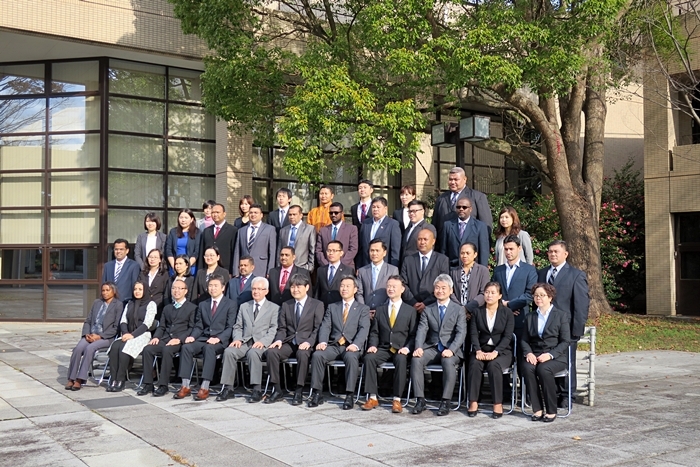 The WCO, in cooperation with the ROCB A/P and Japan Customs, organized the WCO A/P Regional Workshop on Risk Assessment and Selectivity with Advance Cargo Information on 20-23 June 2016 at the Regional Training Center in Japan (Japan Customs Training Institute) in Kashiwa, Japan. 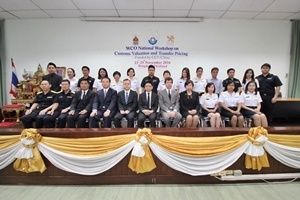 At the request of Mr. Vichak Apirugnunchai, Deputy Director General (DDG) of the Thai Customs Department (TCD), Mr. Kazunari Igarashi, Head of the ROCB A/P, and Ms. Alpha Wong, joined the selection process for so-called “STAR Project” which is led by Mr. Vichak to identify his subordinates with good potentials and broaden their future carrier paths. 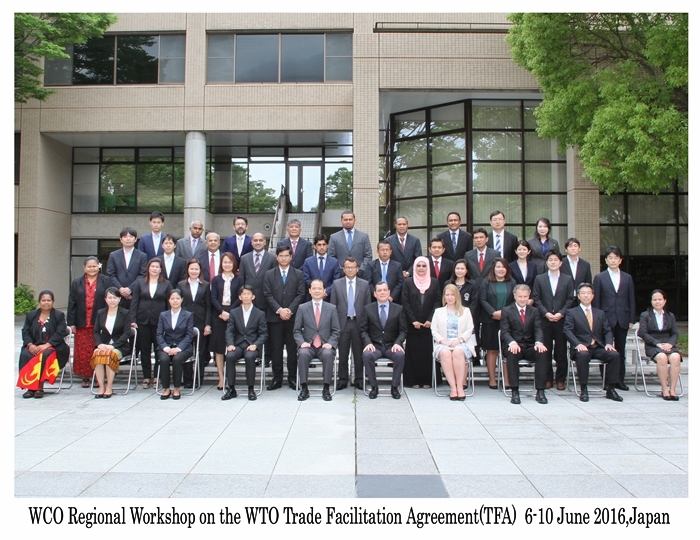 The WCO, in cooperation with the WTO, ROCB A/P and Japan Customs, organized WCO Asia/Pacific Regional Workshop on the WTO Trade Facilitation Agreement (TFA) on 6-10 June 2016 at the Regional Training Center in Japan (Japan Customs Training Institute) in Kashiwa, Japan. The ROCB A/P and the ADB with support from the WCO Secretariat conducted the Final National Expert Mission on Customs Valuation for the India Customs under the WCO-ADB Multi-year Assistance for the SASEC Countries (Multi-year Project) from 6 to 9 June 2016 in Faridabad, India, and successfully completed the 3-year Multi-year Project. 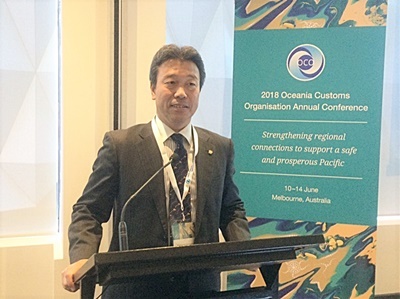 At the invitation of the Oceania Customs Organisation (OCO), Mr. Kazunari Igarashi, Head of the ROCB A/P, attended the 18th OCO Annual Conference held on 1 June 2016 in Funafuti, Tuvalu, as an observer. 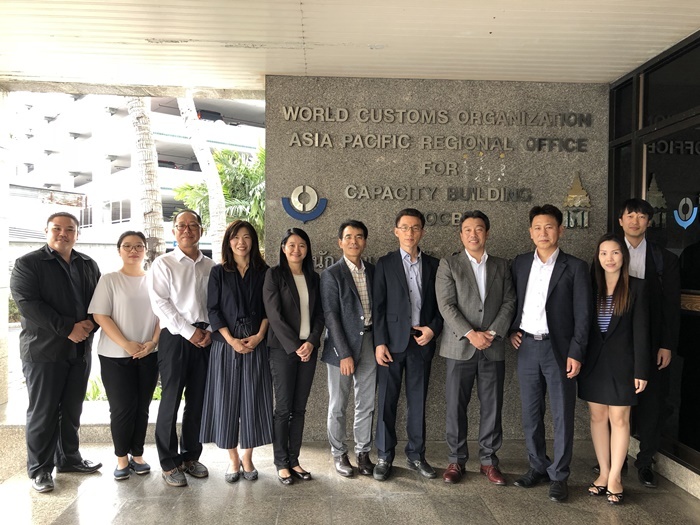 The WCO, in cooperation with the ROCB A/P, organized the WCO National Training on WTO Trade Facilitation Agreement (TFA) for Thai Customs at the Thai Customs Headquarters in Bangkok, Thailand, on 31 May - 3 June 2016 under the sponsorship of CCF/Japan. 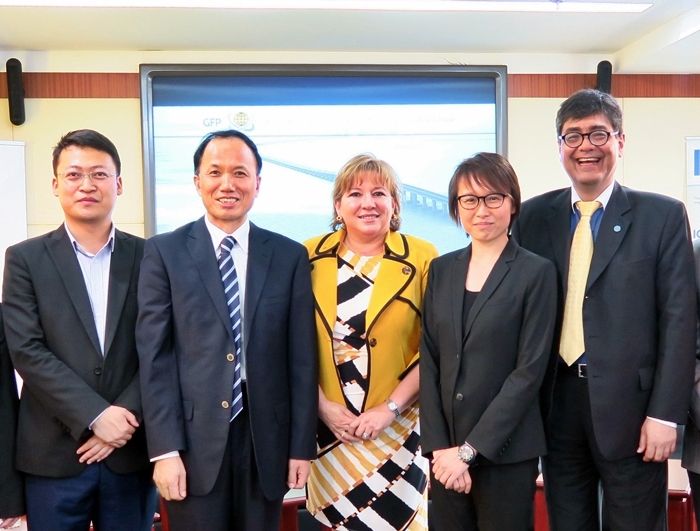 At the request of the WCO Secretariat, Ms. Alpha Wong of the ROCB A/P accompanied Ms. Ana Hinojosa, WCO Director of Compliance and Facilitation, and participated in the Meeting of the Global Facilitation Partnership for Transportation and Trade (GFP), which was held on 1 June 2016 in Shanghai, China. 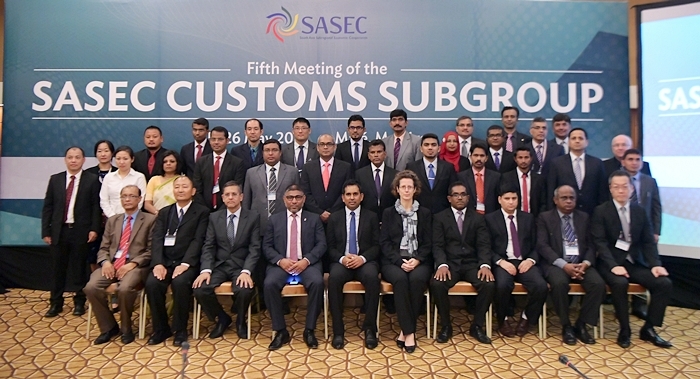 At the invitation of the ADB, Mr. Takayuki Miyoshi, Program Manager for South Asia of the ROCB A/P, attended the ADB SASEC 5th Meeting of Customs Subgroup held on 26 May 2016 in Maldives. 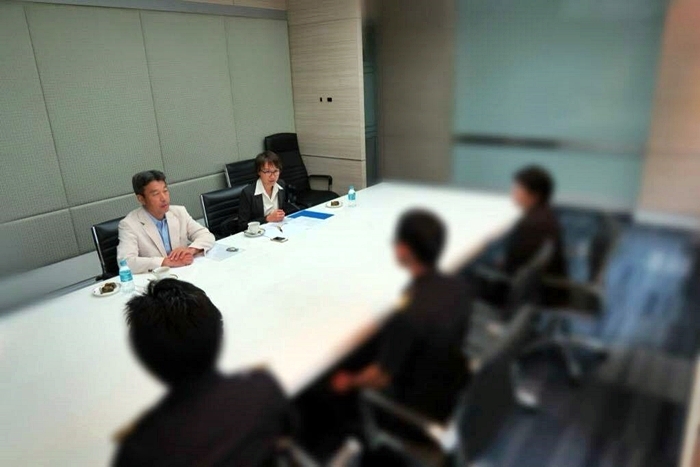 At the request of the Thai Customs Academy, Mr. Kazunari Igarashi, Head of the ROCB A/P, gave a lecture on the activities of the WCO and the ROCB A/P on 27 May 2016 at the Thai Customs Department Headquarters. 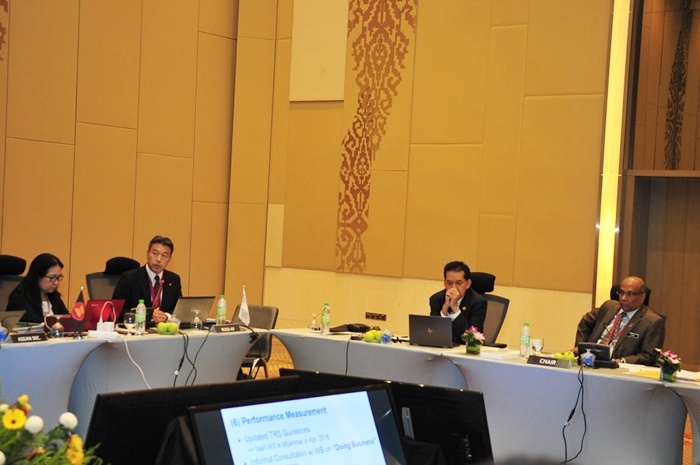 At the request of the WCO Secretariat and at the invitation by the ASEAN Secretariat, Mr. Kazunari Igarashi, Head of the ROCB A/P participated a session of the 25th Meeting of the ASEAN Directors General (DGs) of Customs, which was held on 26 May 2016 in Phnom Penh, Cambodia, and attended by some 50 participants, including DGs and representatives of the Customs administrations from 10 ASEAN Members States and ASEAN Secretariat. 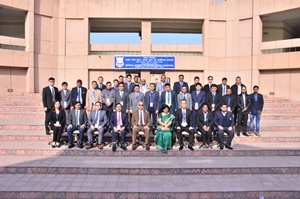 The WCO, in cooperation with the Indian Central Board of Excise and Customs (CBEC) and the ROCB A/P, organized a Regional Workshop on Counterfeiting and Piracy on 16-20 May 2016 at the National Academy of Customs, Excise and Narcotics (one of the WCO A/P Regional Training Centers) in Faridabad, India. 9 to 12 May 2016 in Phuentsholing, Bhutan. 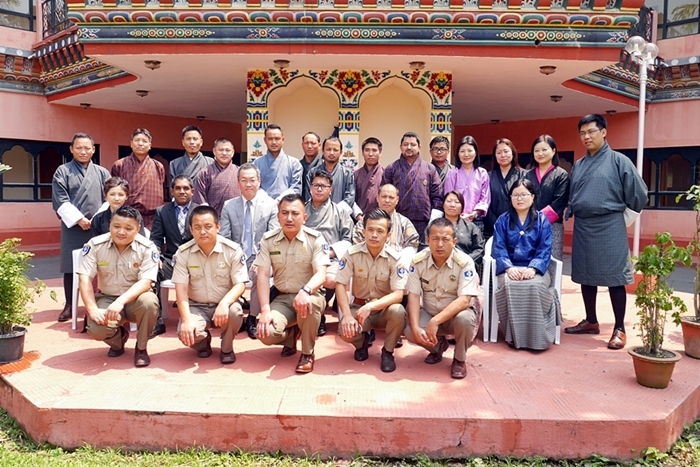 The ROCB A/P and the ADB with support from the WCO Secretariat conducted the Final National Expert Mission on Customs Valuation for the Bhutan Customs under the WCO-ADB Multi-year Assistance for the SASEC Countries (Multi-year Project) from 9 to 12 May 2016 in Phuentsholing, Bhutan, and successfully completed the 3-year Multi-year Project. 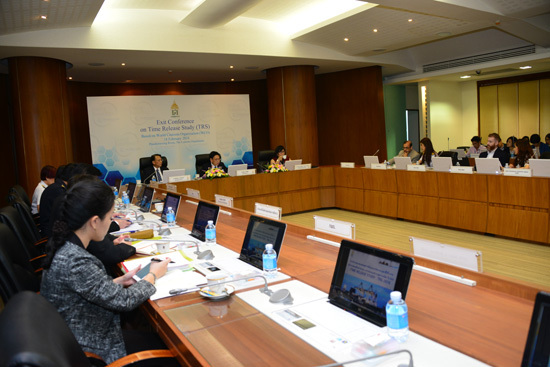 On 25-29 April 2016, the WCO Organized the A/P Regional Workshop on Passenger Controls at the ICAO Asia and Pacific Office in Bangkok, Thailand, in cooperation with the ROCB A/P under the sponsorship of Japan Customs Cooperation Fund, in which 37 persons, including the representatives from 27 Member Customs administrations and RILO A/P, took part. 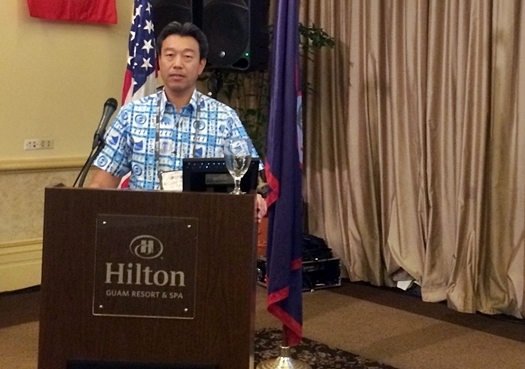 Mr. Kazunari Igarashi, Head of the ROCB A/P participated in the Workshop as co-facilitator. 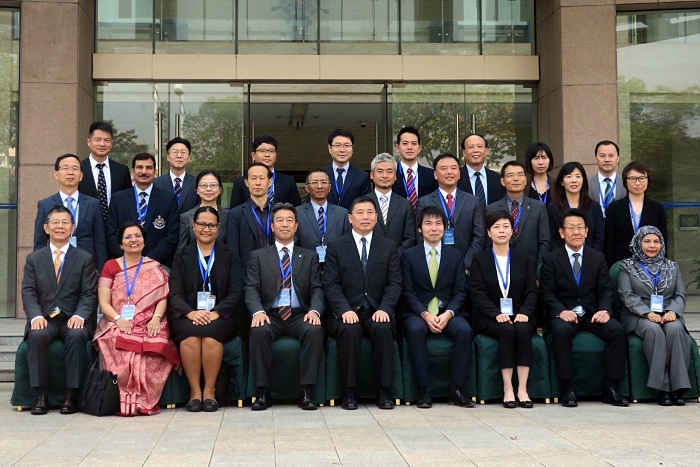 After the first Transit workshop held in China in early April, the WCO, in cooperation with the Indian Central Board of Excise and Customs and the ROCB A/P, organized a Sub-Regional Workshop on Transit Corridor for South Asia on 26-28 April 2016 at the National Academy of Customs, Excise and Narcotics (one of the WCO A/P Regional Training Centers) in Faridabad, India. 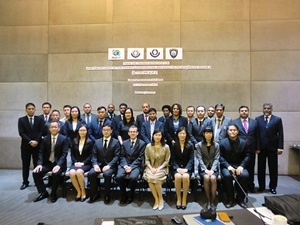 WCO organized the Regional Workshop on Strategic Trade Control Enforcement (STCE) on 18-22 April 2016 in Shanghai Customs College (SCC), Shanghai, China, in cooperation with the ROCB A/P and the General Administration of China Customs (GACC) under the financial support of Customs Cooperation Fund of Japan (CCF/Japan). The WCO in cooperation with the ROCB A/P and the RTC Japan organized the WCO A/P Regional Workshop on the HS 2017 Implementation at the RTC Japan (Japan Customs Training Institute), Kashiwa, on 18-22 April 2016 under the sponsorship of CCF/Japan. 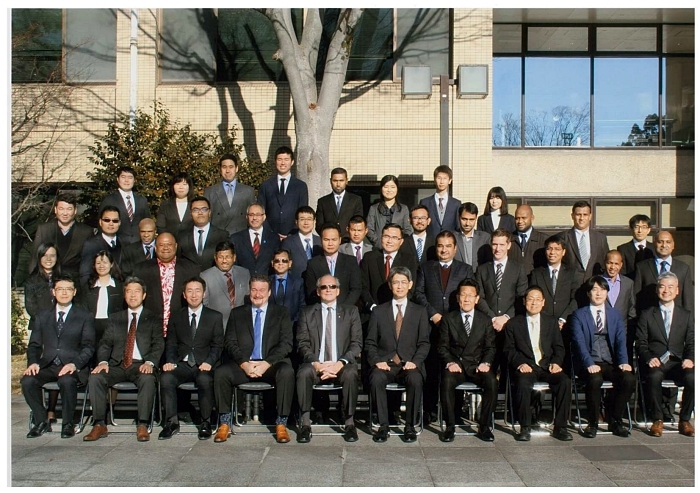 A total of 34 officers representing the WCO Members and the ROCB A/P, 3 WCO officers, Mr. Ed DE Jong, Senior Technical Officer, Mr. Kaoru OMOTO, Technical Officer and Mr. Toshihiko YAMATE, Technical Attaché as resource persons, and 1 ROCB officer, Mr. Takayuki MIYOSHI, CCF/Japan Operation Manager as a facilitator, participated in the Workshop. 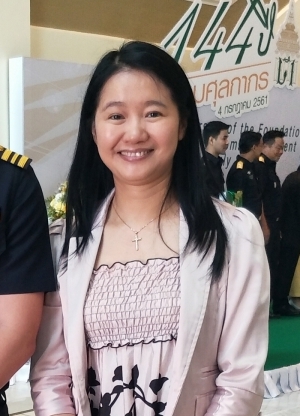 At the invitation of the Thai Customs Department (TCD), Ms. Alpha Wong, Program Manager for Southeast Asia of the ROCB A/P, attended the Pre-Arrival Processing System Conference, which was held on 11 April 2016 at the TCD Headquarters in Bangkok, Thailand. 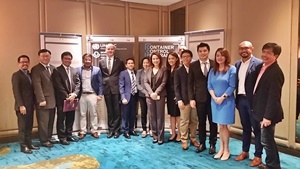 Approximately 50 TCD officials and representatives from the Chamber of Commerce, JICA, shipping agents and terminal operators participated in the Conference. 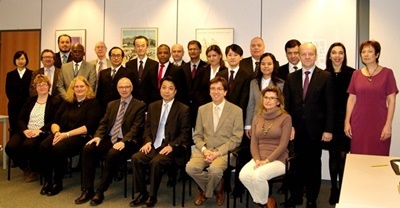 11th Global Meeting of the Heads of the ROCBs and RTCs and Vice Chairs’ Offices was convened on 7-8 April 2016 at the WCO Headquarters in Brussels, Belgium, which aimed at further empowering the regional structures to deliver their mission and fulfil their important roles. 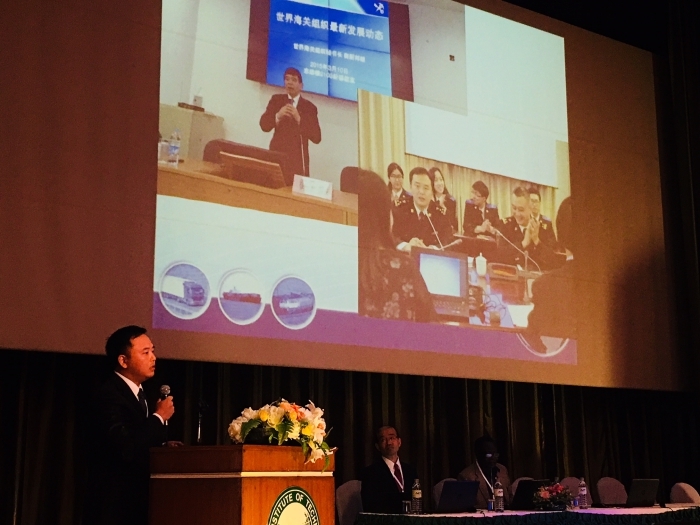 The World Customs Organization (WCO), in cooperation with the WCO Asia/Pacific Regional Office for Capacity Building (ROCB A/P), under the sponsorship of CCF China, successfully conducted the Sub-regional Workshop on Transit Corridor for the Greater Mekong Sub-region (GMS) on 6-8 April 2016 at the Shanghai Customs College (SCC) in Shanghai, China, which was attended by 19 participants from the WCO Member Customs administrations in the GMS. Resource persons from the WCO Secretariat, Turkey, Uganda and the Asian Development Bank (ADB) contributed to the Workshop. 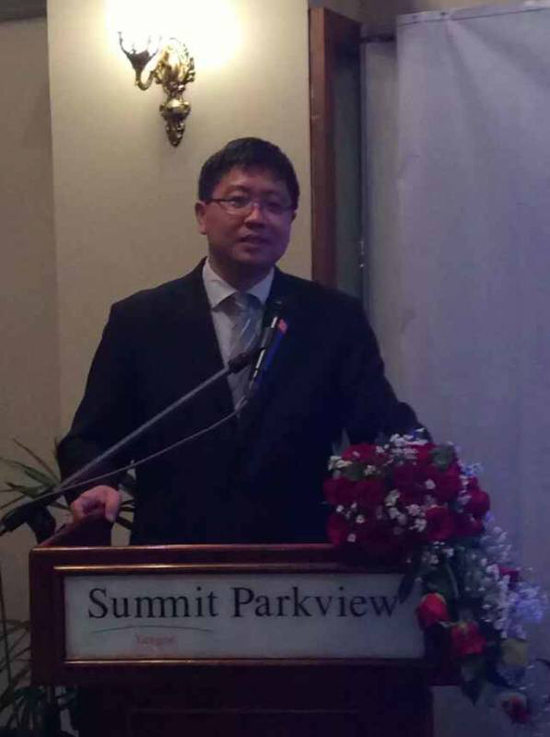 Mr. Cheng Jing, Program Manager of ROCB A/P, took part in the workshop as a resource person. 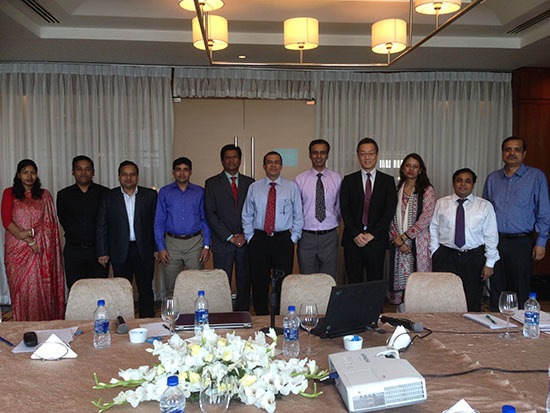 The ROCB A/P and the ADB with support from the WCO Secretariat conducted the Final National Expert Mission on Customs Valuation for the Bangladesh Customs under the WCO-ADB Multi-year Assistance for the SASEC Countries (Multi-year Project) from 22 to 24 March 2016 in Dhaka, Bangladesh, and successfully completed the 3-year Multi-year Project. 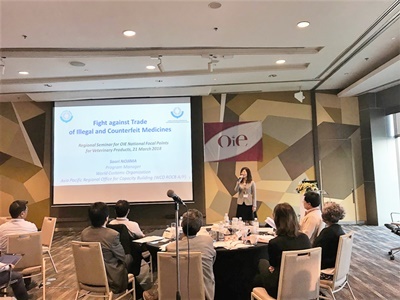 WCO, in cooperation with the ROCB A/P, RILO A/P and Japan Customs, organized the WCO Follow-up Regional Workshop for Joint Enforcement Action against Counterfeiting and Piracy in the Asia/Pacific region (Action IPR A/P) on 21-23 March 2016 in the Holoday Inn Bangkok Sukhumvit, Bangkok, Thailand, under the financial support of Customs Cooperation Fund of Japan (CCF/Japan). A total of 22 participants from the 20 Member Customs administrations and 1 observer from the ROCB A/P participated in this Workshop. 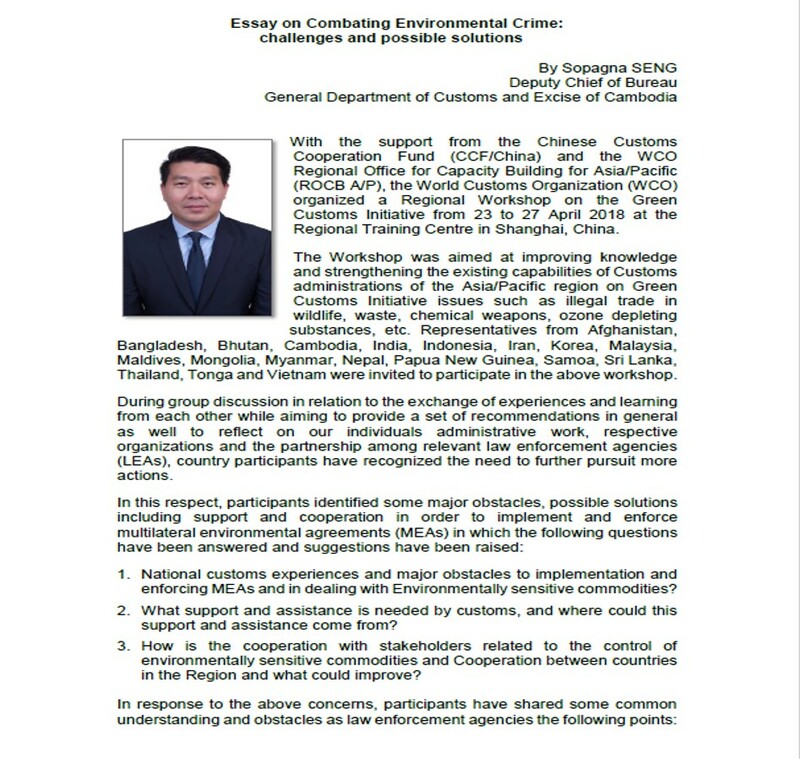 Ms. Pariyabhat Ariyapongkoson attended this Regional Workshop as a resource person, along with other resource persons from the WCO Secretariat, RILO A/P and Japan Customs. 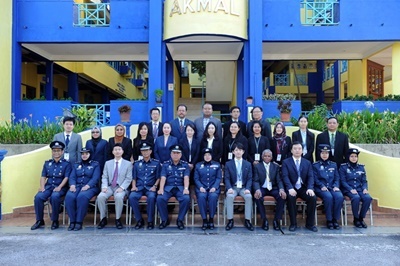 On 21-22 March 2016, the WCO A/P Regional Workshop on Strategic Leadership in Information Technology was held in the Royal Malaysian Customs Academy (AKMAL) in Melaka, Malaysia, under the sponsorship of CCF/Japan. 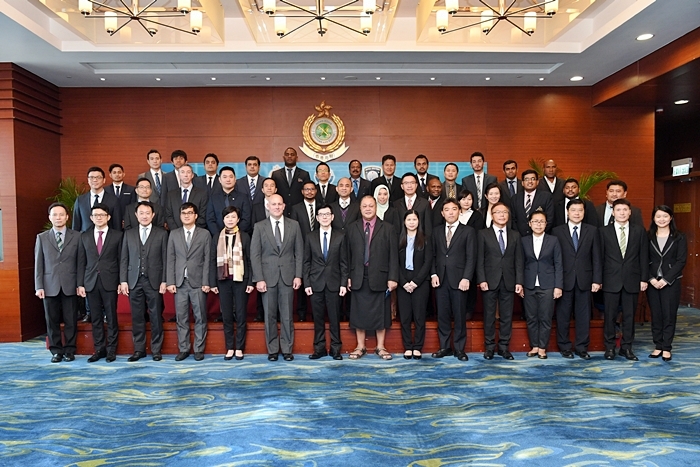 A total of 24persons representing the WCO Member Customs administrations, including those represented the host administration, participated in the Workshop, which was supported by Mr. Tejo Kusuma, Technical Officer of the WCO Compliance and Facilitation Directorate, and Ms. Beng Huay Yeo, Chief Information Officer of Singapore Customs, as resource persons, as well as Mr. Kazunari Igarashi, Head of the ROCB A/P, as a facilitator. 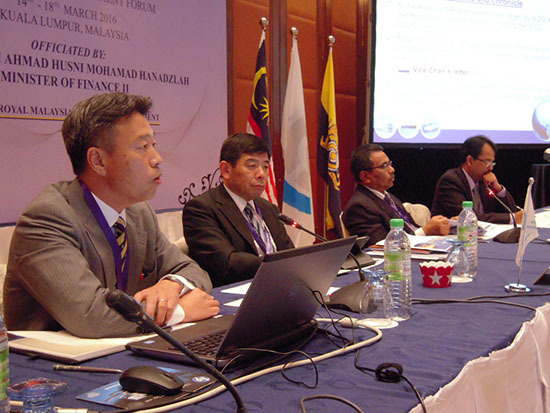 Mr. Kazunari Igarashi, Head of the ROCB A/P, attended the 17th Regional Heads of Customs Administration (RHCA) Conference held on 15-18 March 2016 in Kuala Lumpur, Malaysia, and reported the ROCB A/P’s activities in 2014/2015 and the latest progress in the undertakings over the last 8 months in 2015/2016. 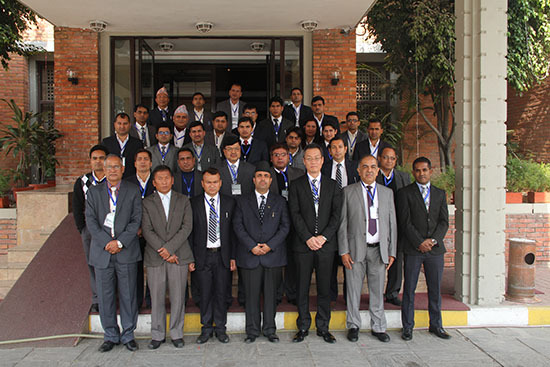 The ROCB A/P and the ADB with support from the WCO Secretariat conducted the Final National Expert Mission on Customs Valuation for the Nepal Customs under the WCO-ADB Multi-year Assistance for the SASEC Countries (Multi-year Project) from 7 to 11 March 2016 in Kathmandu, Nepal and successfully completed the 3-year Multi-year Project. 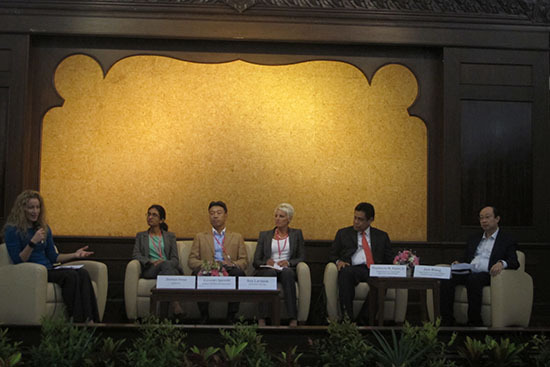 At the invitation from the Asian Development Bank (ADB), Mr. Kazunari Igarashi, Head of the ROCB A/P, joined a Panel Discussion in the ADB Regional Workshop on Cross-Border E-Commerce: Towards Seamless Connectivity, which was held on 10 March 2016 at the Chulalongkorn University in Bangkok, Thailand. 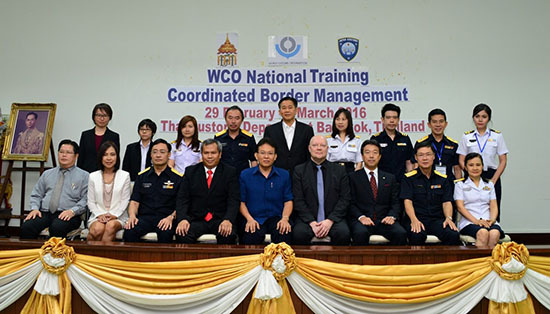 WCO, in cooperation with the ROCB A/P and with the sponsorship of CCF/Japan, organized the WCO National Training on Coordinated Border Management (CBM) for Thailand from 29 February to 4 March 2016 at the Thai Customs Department (TCD) Academy. 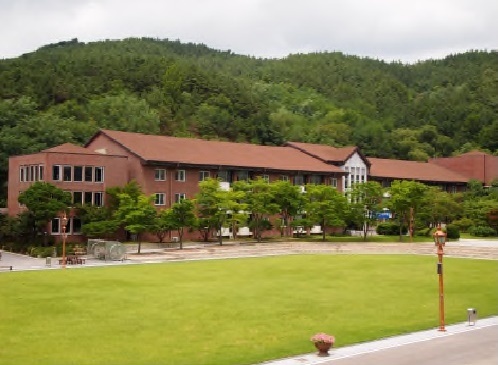 76 TCD officials from relevant Divisions in the Headquarters and regional Customhouses attended this important National Training, which was the first national training to supplement the A/P Regional Workshop held in December 2015 in Kashiwa, Japan. 26 February 2016, Bangkok, Thailand. 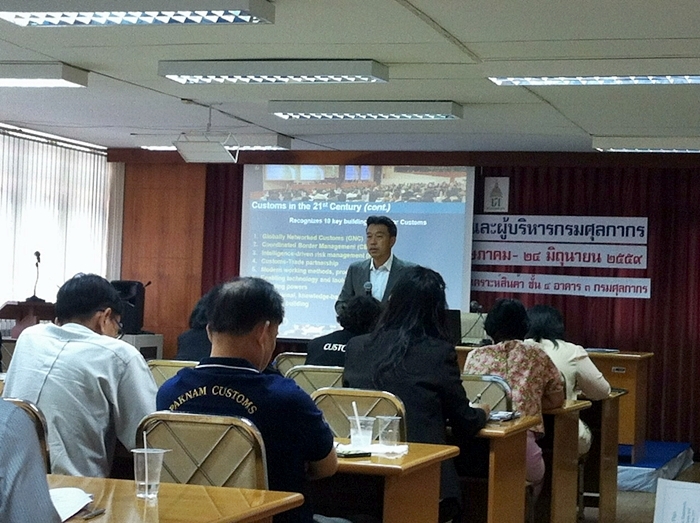 On 26 February 2016, at a meeting room of the Thai Customs Department (TCD), Mr. Kazunari Igarashi, Head of the ROCB A/P, and Mr. Takayuki Miyoshi, the Programs Manager of the same, gave a lecture on the Customs’ roles in trade facilitation and supply chain security, which has significant impact from the viewpoint of global economics. The ROCB A/P and the ADB with support from the WCO Secretariat conducted the Final National Expert Mission on Customs Valuation for the Sri Lanka Customs under the WCO-ADB Multi-year Assistance for the SASEC Countries (Multi-year Project) from 15 to 19 February 2016 in Colombo, Sri Lanka and successfully completed the Multi-year Project. 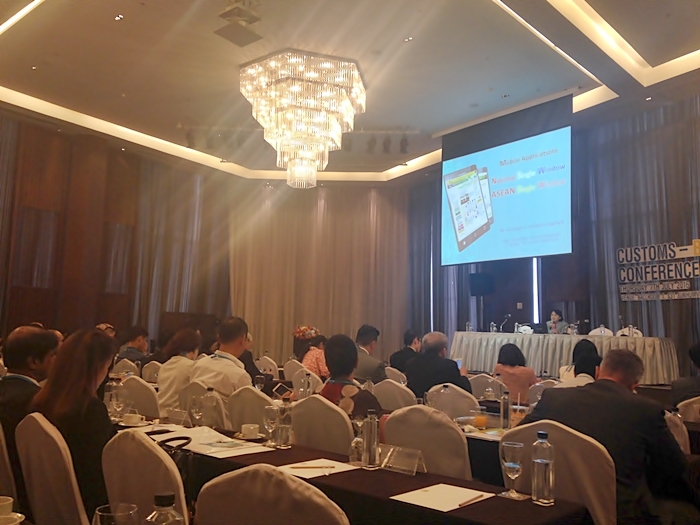 At the invitation by the Thai Customs Department (TCD), Mr. Cho Kangsik, Ms. Alpha Wong, Mr. Cheng Jing and Ms. Pariyabhat Ariyapongkoson of the ROCB A/P attended the 2016 Exit Conference on Time Release Study for Thailand, which was held on 18 February 2016 at the TCD Headquarters in Bangkok, Thailand. The ROCB A/P and the ADB with support from the WCO Secretariat conducted the Final National Expert Mission on Customs Valuation for the Maldives Customs Service under the WCO-ADB Multi-year Assistance for the SASEC Countries (Multi-year Project) from 24 to 28 January 2016 in Male, Maldives and successfully completed the Multi-year Project. 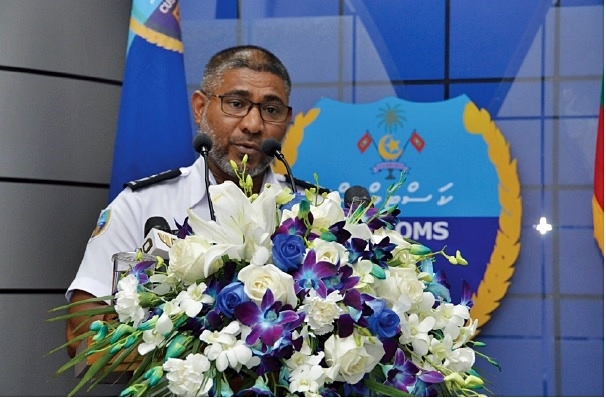 3 Project Core Members (PCMs) of this Multi-year Project, 8 Project Supporting Members (PSMs) from Maldives Customs Service and experts from the WCO, Sri Lanka and ROCB A/P joined the activity. 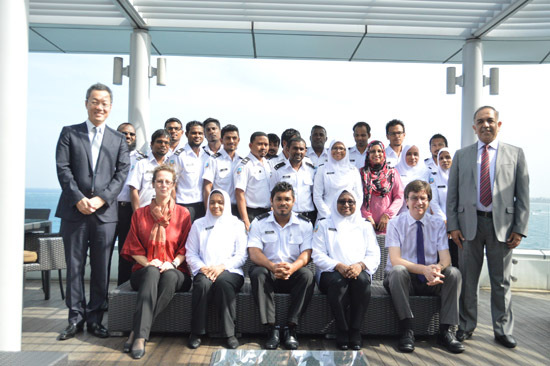 WCO Regional Workshop on Revenue Package and Advance Ruling was conducted on 25 – 29 January 2016 at the Royal Malaysian Customs Academy (AKMAL) in Melaka, Malaysia, under the sponsorship of CCF/Japan, and in cooperation with the ROCB A/P and Royal Malaysian Customs Department (RMCD). 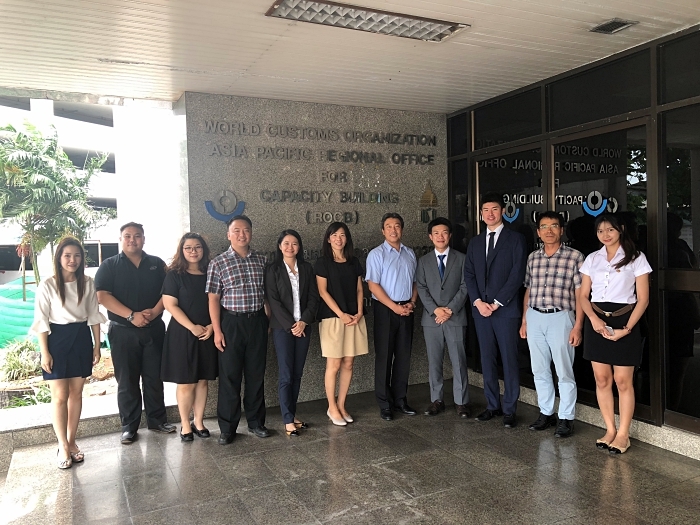 At the invitation of the UNODC Bangkok Office, Mr. Kazunari Igarashi, Head of the ROCB A/P, accompanied by his colleagues, Mr. Jing Cheng, Mr. Kangsik Cho and Ms. Alpha Wong, attended the Steering Committee Meeting for the UNODC-WCO Container Control Program (CCP) in the Southeast Asia region, which was held on 19 January 2016 at the Thai Customs Department Headquarters in Bangkok, Thailand, as observers. WCO/UNODC Container Control Program (CCP) Stakeholder Roundtable Meeting was organized on 15 January 2016 in Yangon, Myanmar, by the UNODC Bangkok Office with the sponsorship of the Australia Department of Immigration and Border Protection (ADIBP) and Canada Border Services Agency (CBSA). 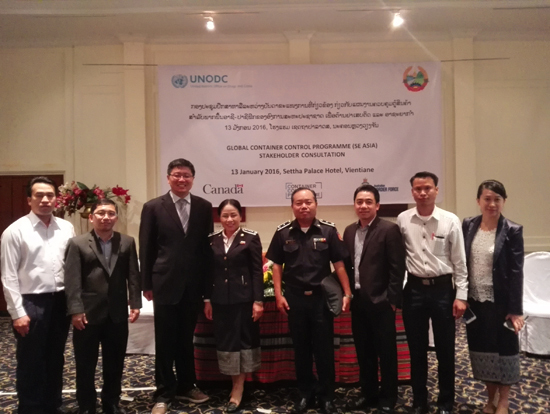 WCO/UNODC Container Control Program (CCP) Stakeholder Roundtable Meeting was organized on 13 January 2016 in Vientiane, Lao PDR, by the UNODC Bangkok Office with the sponsorship of the Australia Department of Immigration and Border Protection (ADIBP) and Canada Border Services Agency (CBSA). 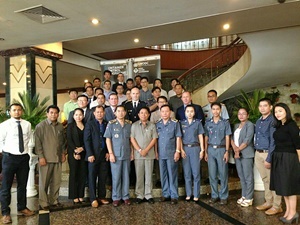 WCO/UNODC Container Control Program (CCP) Stakeholder Roundtable Meeting was organized on 11 January 2016 in Phnom Penh, Cambodia, by the UNODC Bangkok Office with the sponsorship of the Australia Department of Immigration and Border Protection (ADIBP) and Canada Border Services Agency (CBSA). 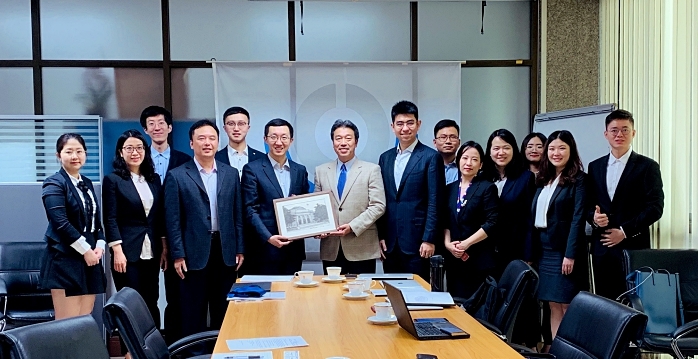 A delegation from the Tsinghua University of China, led by Mr. Chao Zhang, Director of the Tsinghua Career Development Center, visited the ROCB A/P on 15 January 2019. 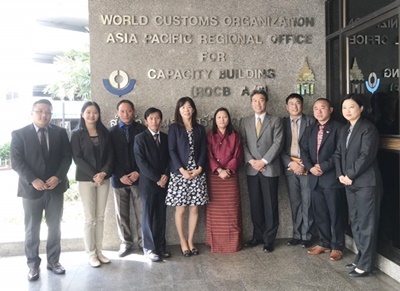 Bhutan Customs delegation headed by Mrs. Yeshey Seldon, Commission of Customs and Excise Division of the Department of Revenue and Customs, visited the ROCB A/P on 20 November 2018 on the occasion of their field visit trip to Thailand. 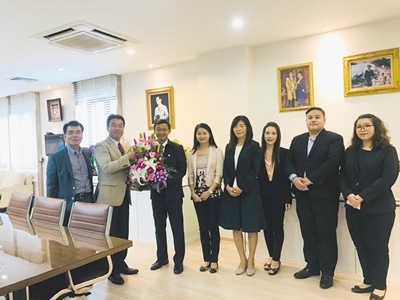 Mr. Krisada Chinavicharana, Director General of the Thai Customs Department, made a short visit to the ROCB A/P with his staffs to observe the Office furnishing and working environment. Mr. Roger Hermann, Head of the ROCB Europe, and Mr. Dashgin Aliyev, WCO Regional Development Manager for Europe region, visited the ROCB A/P for a benchmark study on the regional coordination of capacity building program planning and delivery on 10 and 11 September 2018. Mr. Keiichi Tatsumi, departing Customs Attaché of Japan, and Mr. Tetsuro Higuchi, successor of Mr. Tatsumi, paid a courtesy visit to the ROCB A/P on 19 June 2018. 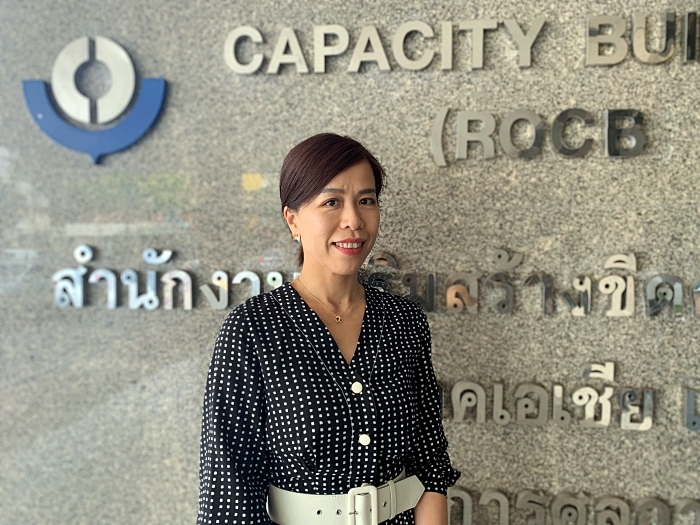 Dr. Rosalind Y. McKenzie, Senior Regional Cooperation Specialist of the Asian Development Bank (ADB), visited the ROCB A/P on 7 June 2018 to discuss continuous cooperation and collaboration between the ADB and the ROCB A/P under the South Asia Sub-regional Economic Cooperation (SASEC) program. 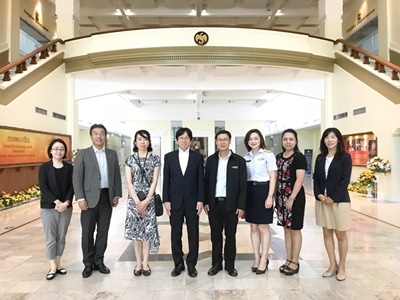 Mr. Sumiya Shibasaki, Deputy Director General of the Customs and Tariff Bureau (CTB) of the Ministry of Finance of Japan, visited the ROCB A/P on 4 June 2018, accompanied by Ms. Emako Hirabayashi, Deputy Director of International Cooperation Division of the CTB. 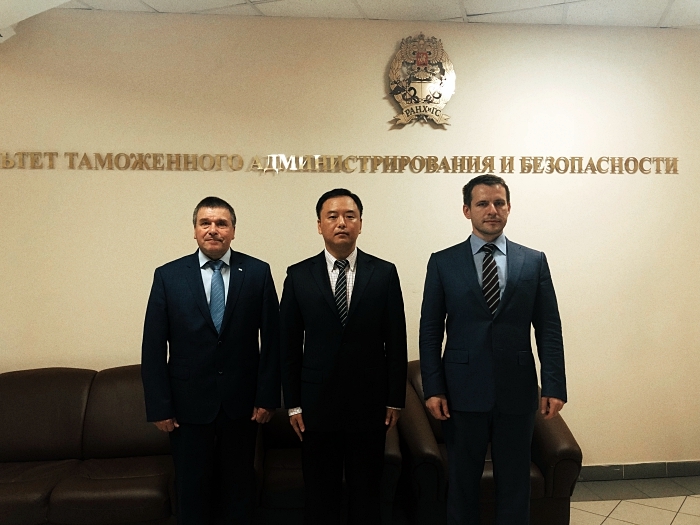 Dean Sergei Chizhikov and Professor Boris Kabylinskii from the Faculty of Customs Administration and Security of the North-West Institute of Management in Saint Petersburg, Russia, visited the ROCB A/P on 4 April 2018. The delegation from the Asia and the Pacific representation Office of the World Organization for Animal Health (OIE), Dr. Hirofumi Kugita and Dr. Jing Wang, visited the ROCB A/P on 30 January 2018 to discuss the ROCB A/P’s possible contribution to the upcoming OIE Seminar to be held in March 2018 in Bangkok, Thailand. 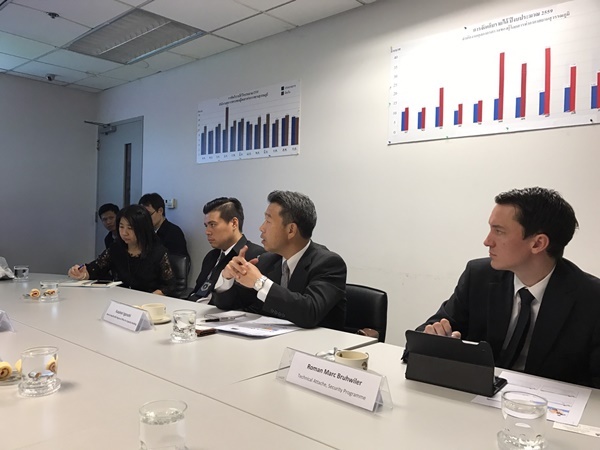 Korea Customs Service (KCS) delegation, headed by Mr. Kim Ik-Heon, Deputy Director of Bilateral Cooperation Division, visited the ROCB A/P on 13 December 2017 to discuss a framework for reinvigorating future cooperation between the KCS and the ROCB A/P, including a short-term attachment program in the future. 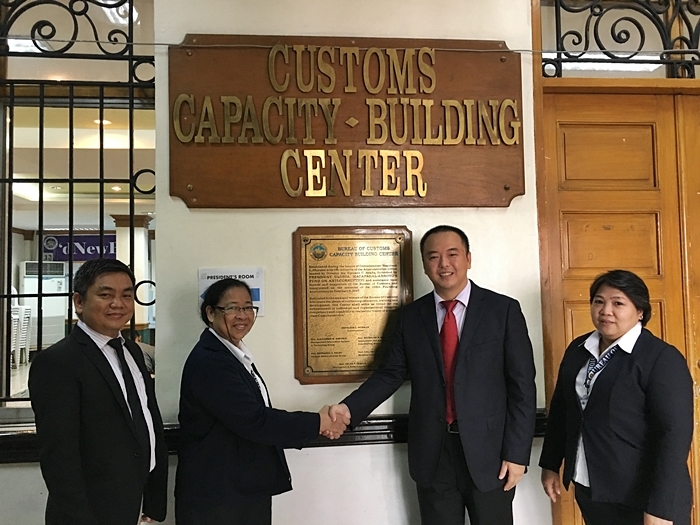 Mr. Robert Thommen, a newly assigned US/CBP Attaché to Thailand, made a friendly visit to the ROCB A/P along with his colleague at the US Embassy, Ms. Maysa Chanikornpradit, Program Management Specialist, on 5 October 2017 on the occasion of his courtesy visit to Thai Customs Director General at the Thai Customs Department Headquarters. On the occasion of field study visit to Thailand, Mr. Kyaw Htin, Director General of Myanmar Customs Department, accompanied by his Assistant Directors as well as representatives from relevant authorities and JICA experts, made a courtesy call at the ROCB A/P on 30 August 2017. 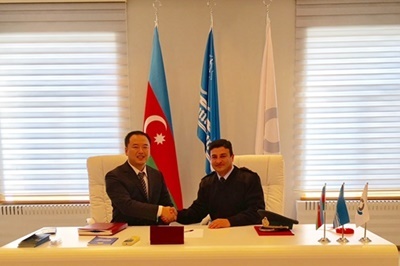 5 Azerbaijan officers including the Major-General, Mr. Baba Salayev, the Head of the Main Office for Combating Offenses in the Customs sphere, State Customs Committee of Azerbaijan and 5 Uzbekistan officers including Mr. Oybek Zayniddinov, the Head of the Main Department of Customs Control, State Customs Committee of Uzbekistan visited the ROCB A/P together on 17 May 2017 during the UNODC-WCO Container Control Programme Study Visit in Thailand. 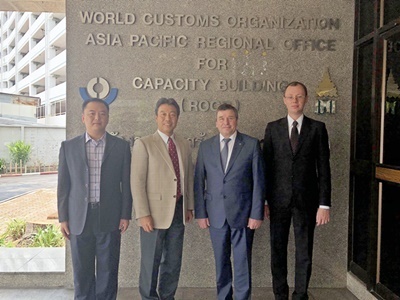 On 24 February 2017, Mr. Hideharu Tanaka, Director of Japanese Foreign Ministry and current Vice Chairperson of the WCO Finance Committee, visited the ROCB A/P in the margin of his business trip to Bangkok. 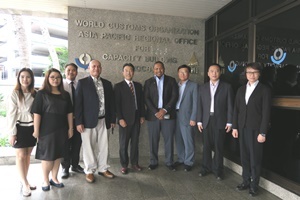 On 11 January 2017, Mr. Seve Paeniu, Head of the Oceania Customs Organisation (OCO) Secretariat, and Mr. Tevita Tupou, OCO Operations Manager, visited the ROCB A/P on the occasion of their business trip to Bangkok. 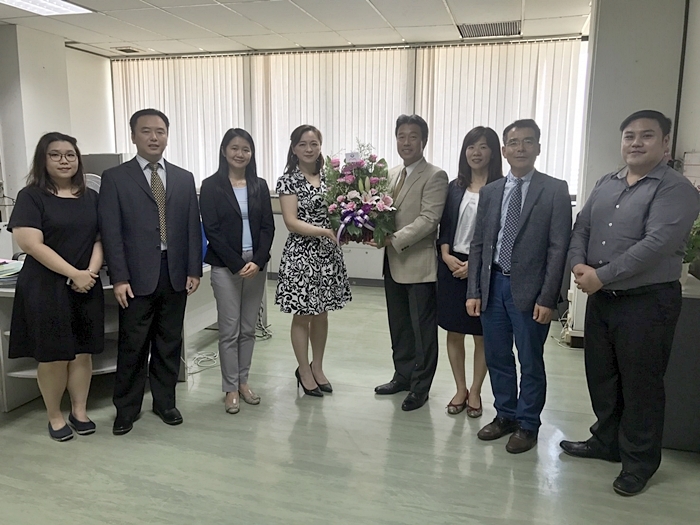 On 11 January 2017, Mr. Lin Hongliang, Director of the Asian-Pacific Postal Union, visited the ROCB A/P and exchanged wished for the New Year. 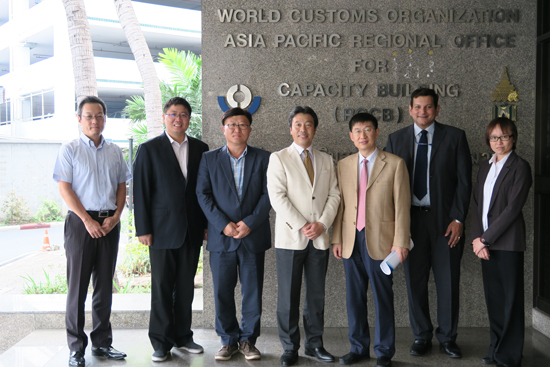 Mr. Jeon Ik Pyo, the Team Manager of Cargo Selectivity & Inspection Team of Korea Customs Service (KCS) and his colleagues visited the ROCB A/P on 9 December 2016 on the occasion of business trip to Thailand Customs to benchmark the UNODC-WCO Container Control Program (CCP). 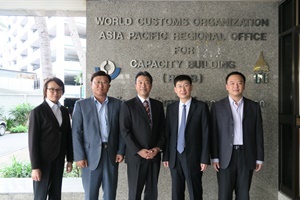 Dr. CHUN Hong-uk, Vice Commissioner of the Korea Customs Service (KCS), accompanied by Mr. JEONG Seung-hwan, Director of Audit Policy Division, and Mr. KIM Won-seok, Deputy Director, Multilateral Cooperation Division,visitedthe ROCB A/P on 24 November 2014 on the occasion of his visit to the Thai Customs Department for bilateral cooperation talks. 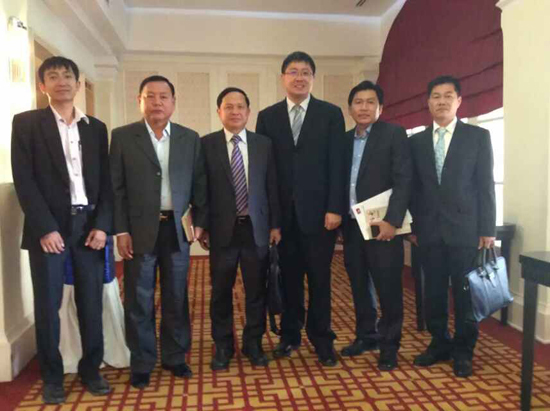 Mr. Bounpaseuth Sikounlabout, Deputy Director General of Lao Customs, and his colleagues visited the ROCB A/P on 26 February 2016 on the occasion of his business trip to Thailand to study management practices in dry ports and container depots. 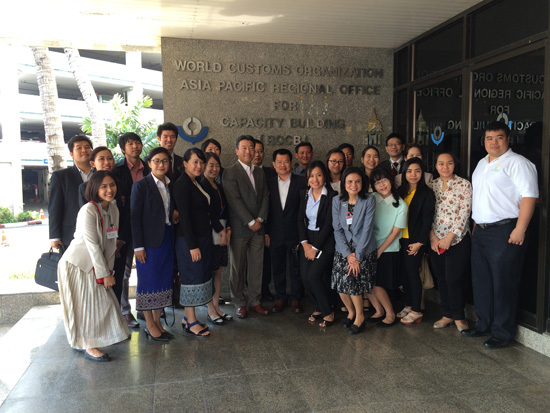 AEO workshop participants from Cambodia, Lao PDR, Myanmar and Vietnam visited the ROCB A/P, accompanied by colleagues of the AEO Department of the Thai Customs Department (TCD) and JICA Experts. 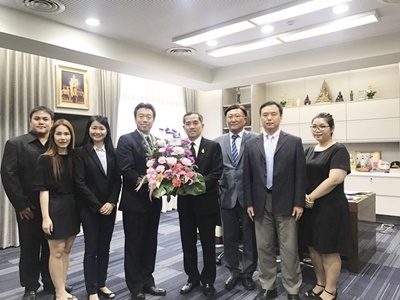 Mr. Kazunari Igarashi, Head of the ROCB A/P, and his colleagues paid a courtesy visit to Mr. Vichak Apirugnunchai, new Deputy Director General of the Thai Customs Department (TCD) at his office to congratulate his promotion and call for continued support for the ROCB A/P. 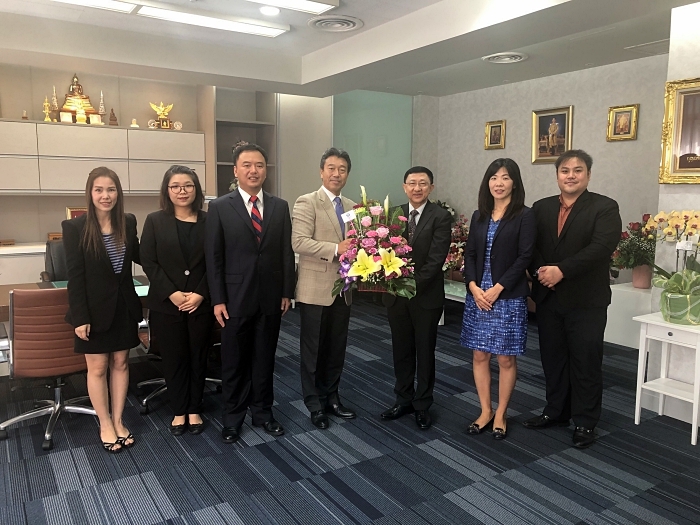 Mr. Kazunari Igarashi, Head of the ROCB A/P, and his colleagues paid a courtesy visit to Mr. Chutiwat Watanaphol, new Deputy Director General of the Thai Customs Department (TCD) at his office to congratulate his promotion and call for continued support for the ROCB A/P. 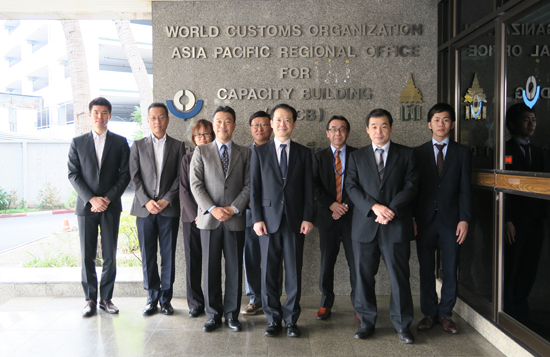 Japan Customs and Tariff Bureau (CTB) delegation led by Mr. Hiroshi Kishimoto, Deputy Director General of CTB, and accompanied by Mr. Shinji Taniguchi, Counselor for International Cooperation, as well as his colleagues, visited ROCB A/P seizing an opportunity of their mission to attend JICA Customs Expert Conference held in Bangkok, Thailand. 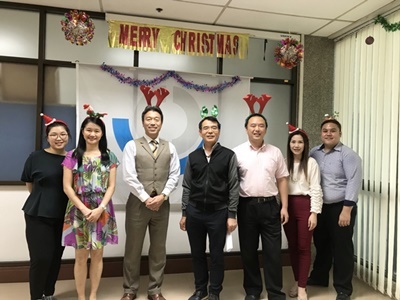 Mr. Lin Hongliang, Director of the Asian-Pacific Postal Union (APPU), and Mr. Anucha Soonglertsongpha, Course Director of the APPU, visited the ROCB A/P for the New Year’s greeting and renewal of collaboration with the Customs in the Asia/Pacific region. 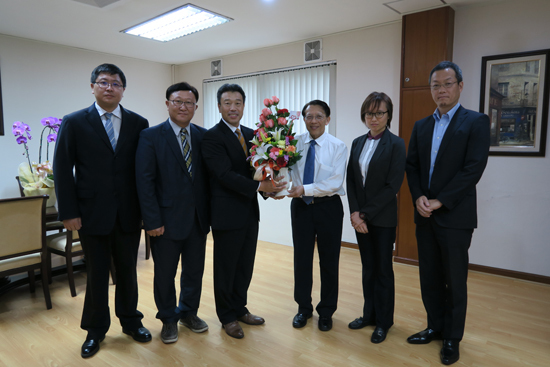 Delegation from the Korea Customs Service Customs Border Control and Training Institution (CBCTI), led by Mr. Lee Beumju, Faculty Director of the CBCTI, and Mr. 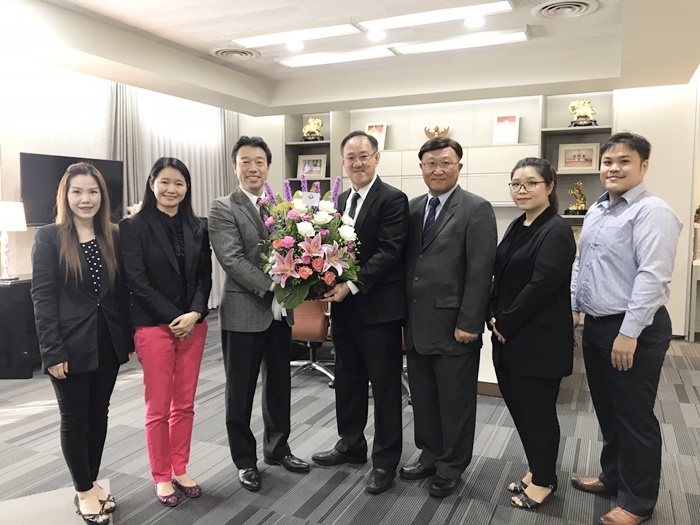 Sung Wonsik, Professor of the CBCTI, visited the ROCB A/P to explore the way to further promote the existing close cooperation between the ROCB A/P and the CBCTI, which is one of the WCO A/P Regional Training Centers. 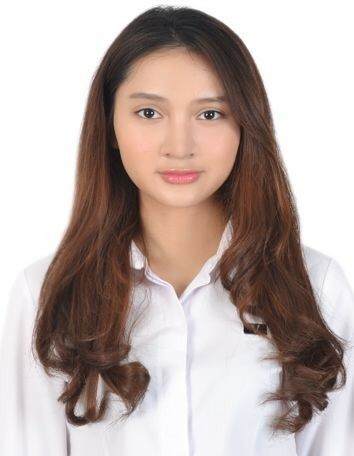 I am Hong-Young JO from Korea Customs. It’s my pleasure and honor to be part in WCO ROCB A/P Team. It is my great pleasure and honor to greet everyone as a new member of the ROCB/AP. My name is Saori Nojima, CCF/Japan Operation Manager and Program Manager for South Asia. It’s my great pleasure and honor to introduce myself in this platform. 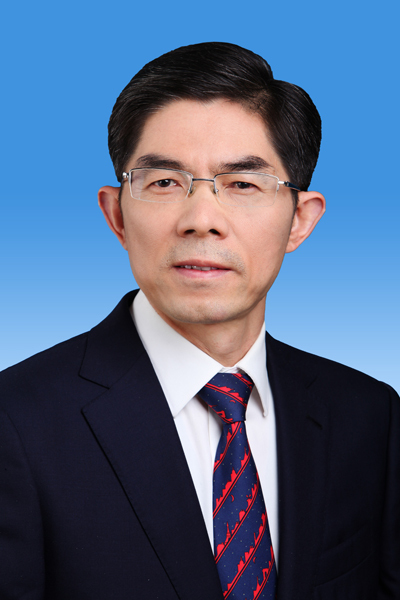 Sawadi krap, I am Tong hua from China Customs. I am so glad to join in the prestigious WCO ROCB A/P team. Thank you so much to let me introduce myself. 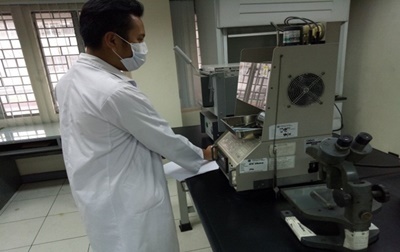 My name is Jate-arpa Benjaphong , nicknamed “Mai.” I worked at private companies for many years since I graduated the Bachelor Degree from Assumption University. 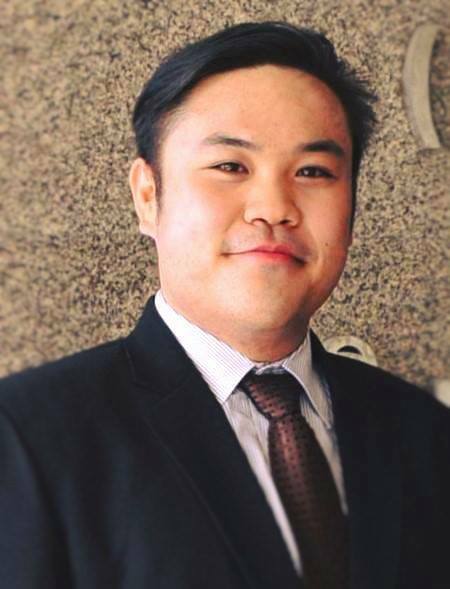 It is my great pleasure and honor to extend my greetings from Bangkok for the first time as the new Head of the ROCB A/P for the next 5 years succeeding Mr. Yoshihiro Kosaka. Indeed, I have quite big shoes to fill. 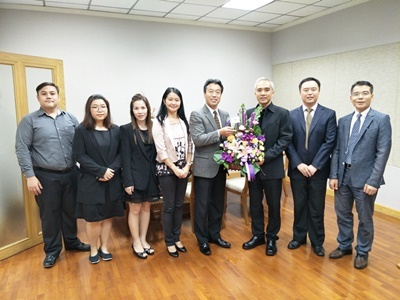 At the invitation of the Thai Customs Department (TCD), Mr. Kangsik Cho and Ms. Alpha Wong represented the ROCB A/P to join the 2016 International Customs Day Celebration Ceremony, which was held on 26 January 2016 at the TCD Headquarters. 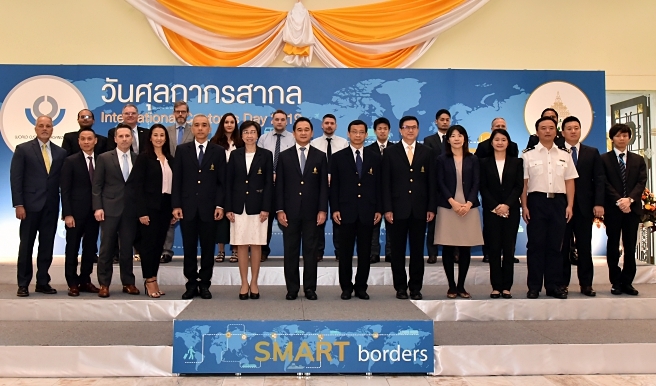 At the invitation of the Thai Customs Department (TCD), Mr. Takayuki Miyoshi, CCF/Japan Operation Manager and Program Manager for South Asia, Ms. Narumon Siricharoenwat and Ms. Pariyabhat Ariyapongkoson, Program Coordinators of the ROCB A/P attended the Wrap-Up Ceremony for the Project supported by Japan International Cooperation Agency (JICA). 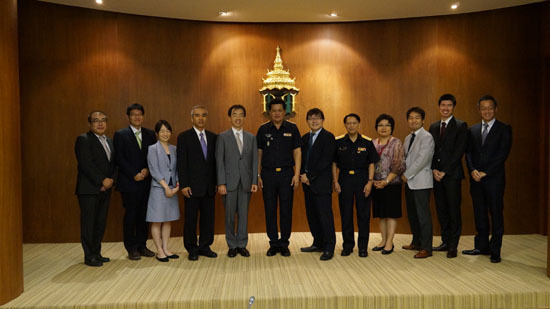 At the invitation of the Thai Customs Department (TCD), Mr. Kazunari Igarashi, Head of the ROCB A/P, and his ROCB A/P colleagues attended the Signing Ceremony for the Memorandum of Understanding on Electronic Payment of Customs Duties and Taxes, which was held on 23 July 2015 at the TCD Headquarters in Bangkok, Thailand. 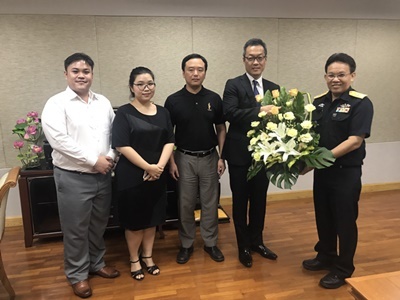 On 3 July 2015, upon a kind invitation of Dr. Somchai Sujjapongse, Director General of the Royal Thai Customs Department (TCD), all staff members of the ROCB A/P joined TCD’s 141st Anniversary Ceremony held at its Headquarters. 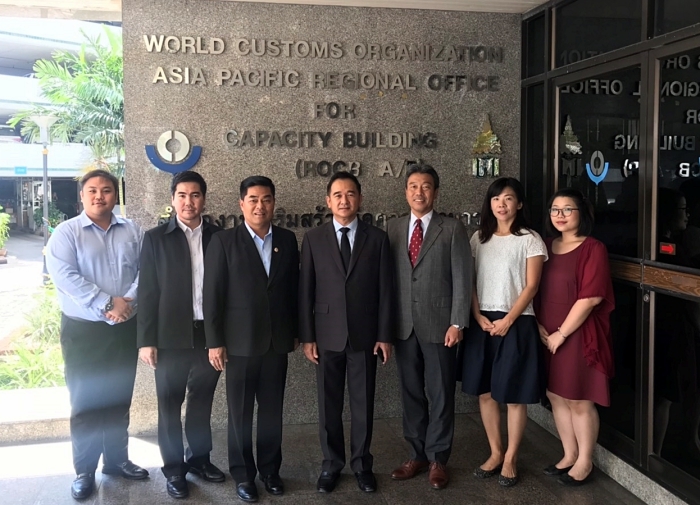 On 19 January 2015, at the invitation of the UNODC, Mr. Kazunari Igarashi, Head of the ROCB A/P, attended the signing ceremony of WCO-UNODC Container Control Program (CCP) for Thailand at the Thai Customs Department (TCD) as an observer.